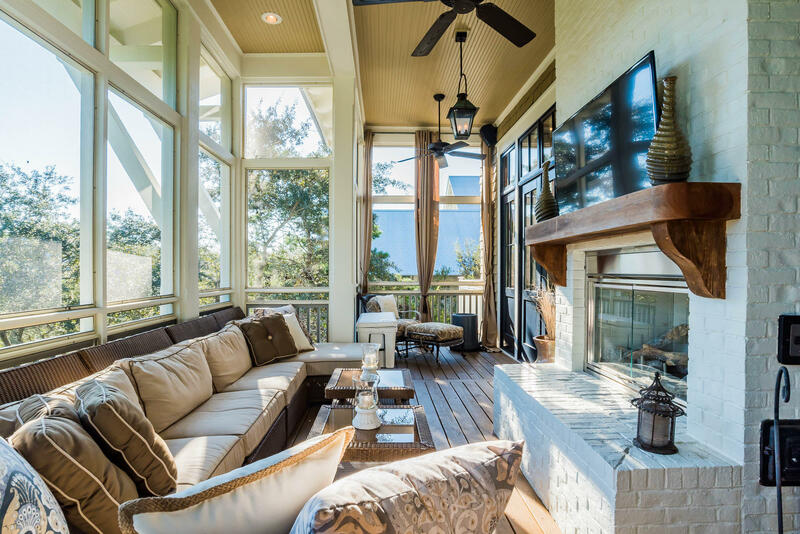 Charm and sophistication combine for unmatched appeal overlooking captivating Western Lake in convenient Phase 1 Sunset Ridge of Watercolor. 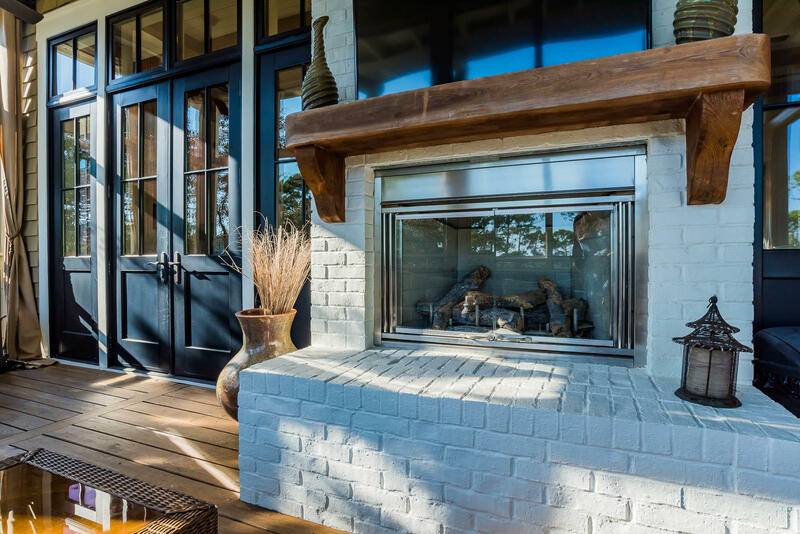 Relaxed styling begins with a historic reclaimed Chicago brick driveway and paves the way to a shady rocking chair front porch and continues inside over natural hardwoods to a rear, wooded walking path and ultimately to a peaceful and very private lakefront setting. 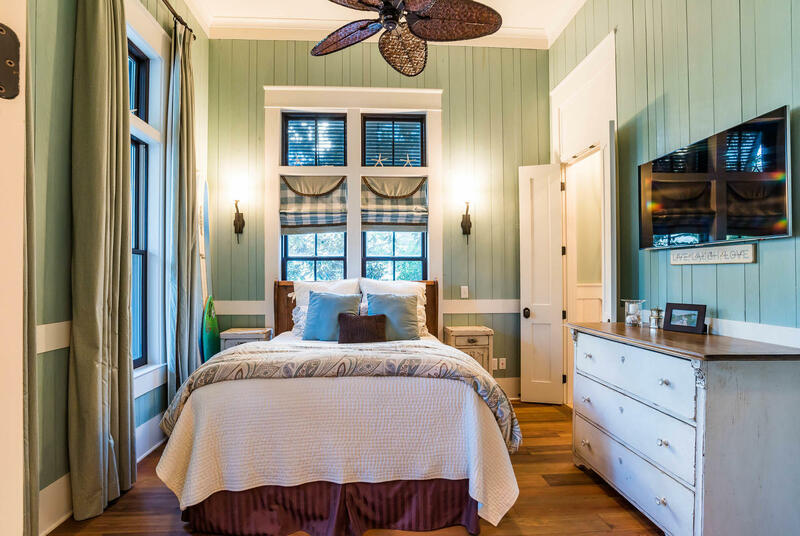 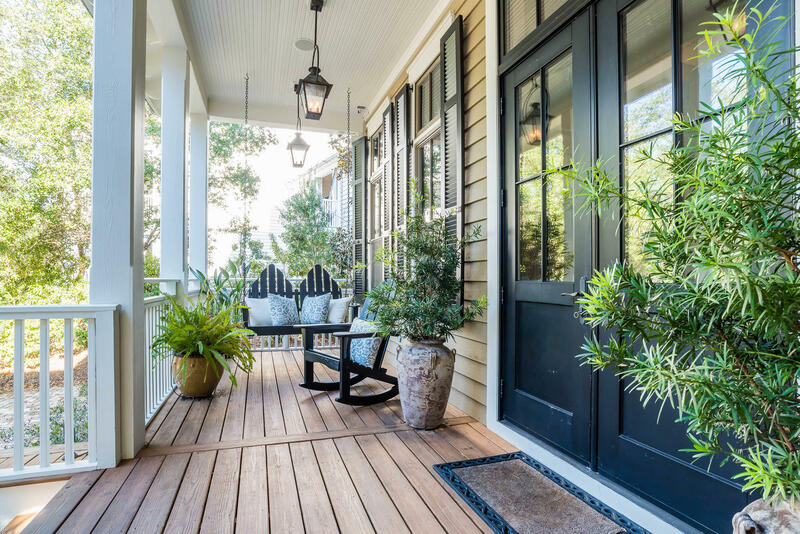 This home is designed to enhance the natural aesthetic of its surroundings with earth tones, highlighted by today's very current black-framed windows and dark shutters and doors. 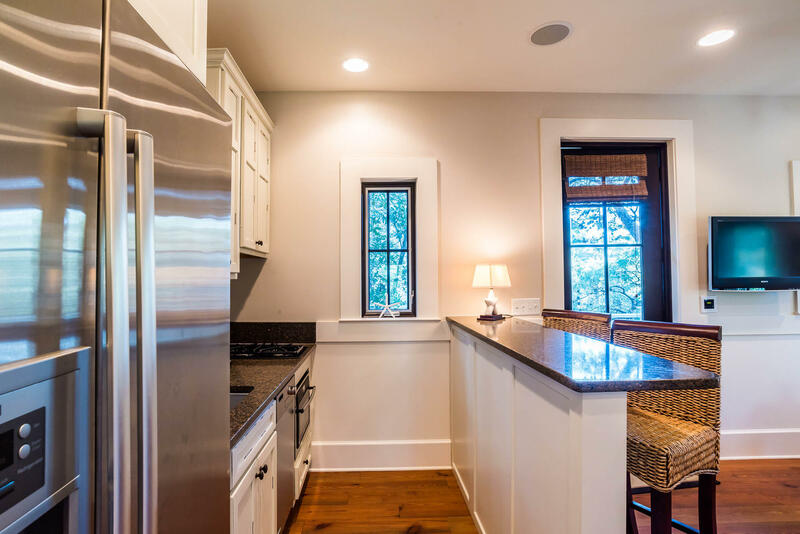 This one-owner, never-rented home with a sunny disposition has been meticulously maintained and continually enjoyed. 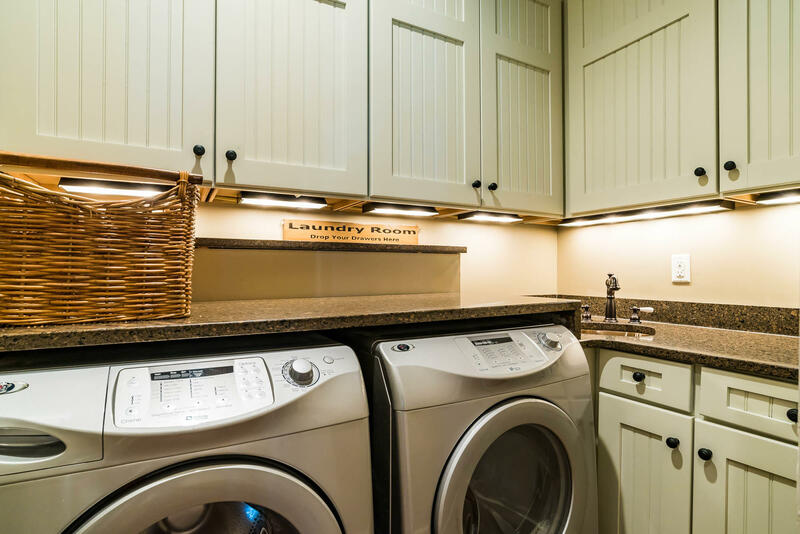 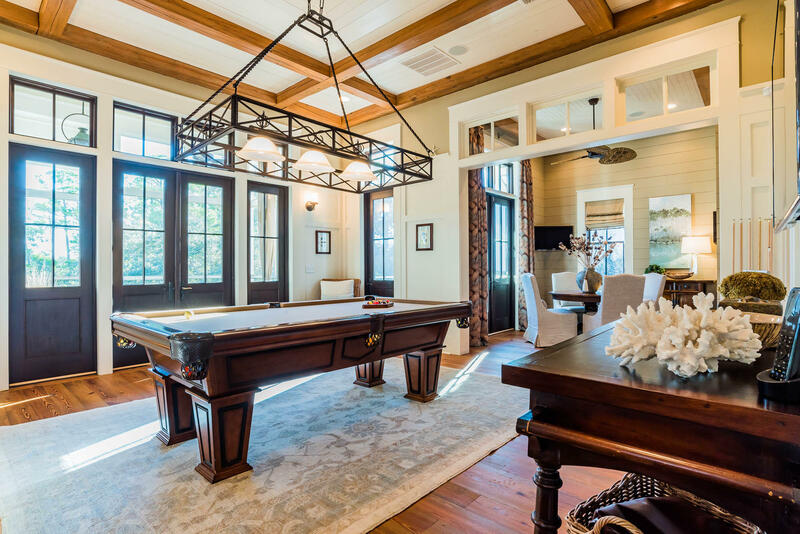 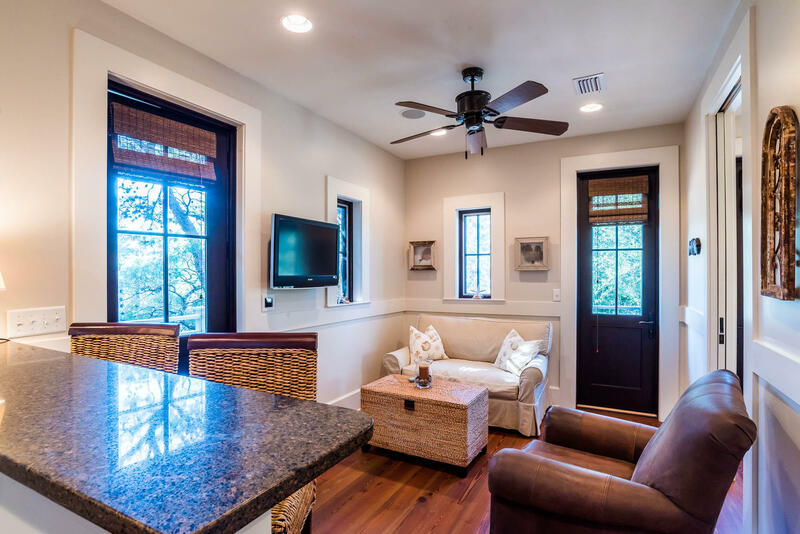 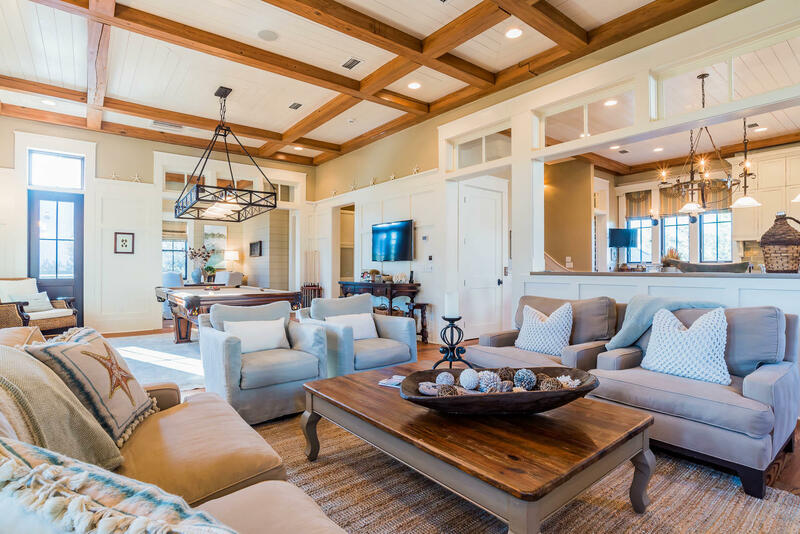 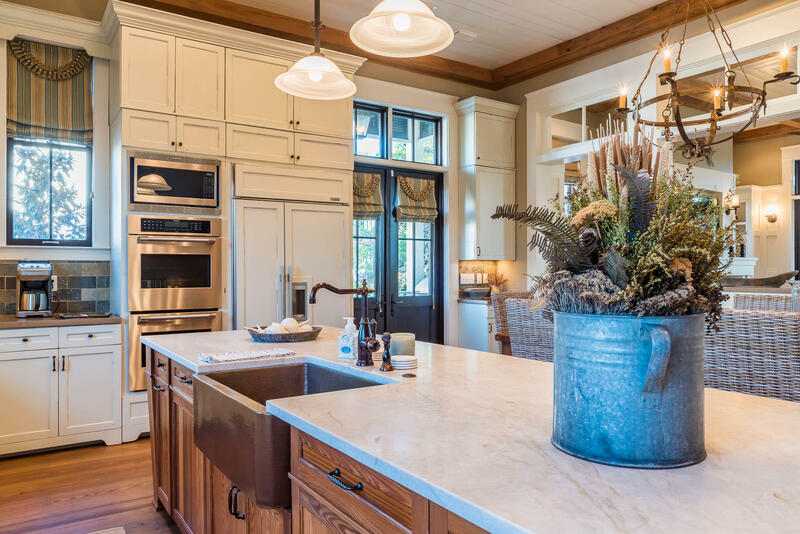 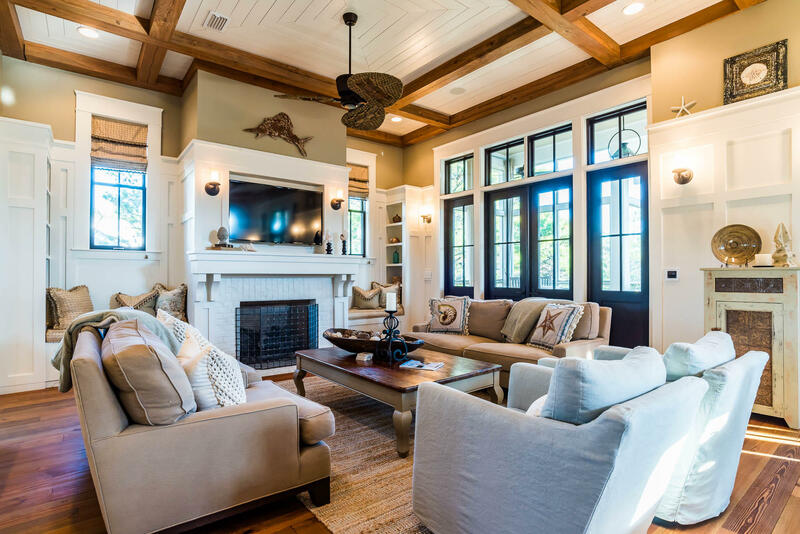 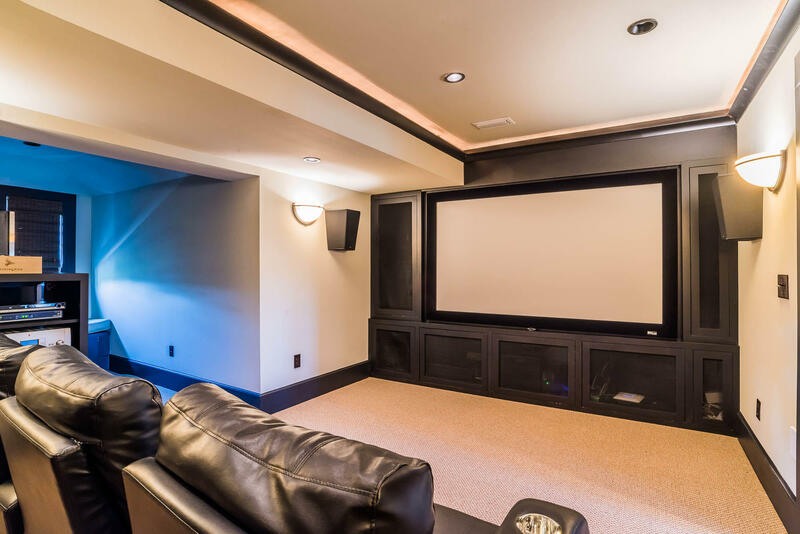 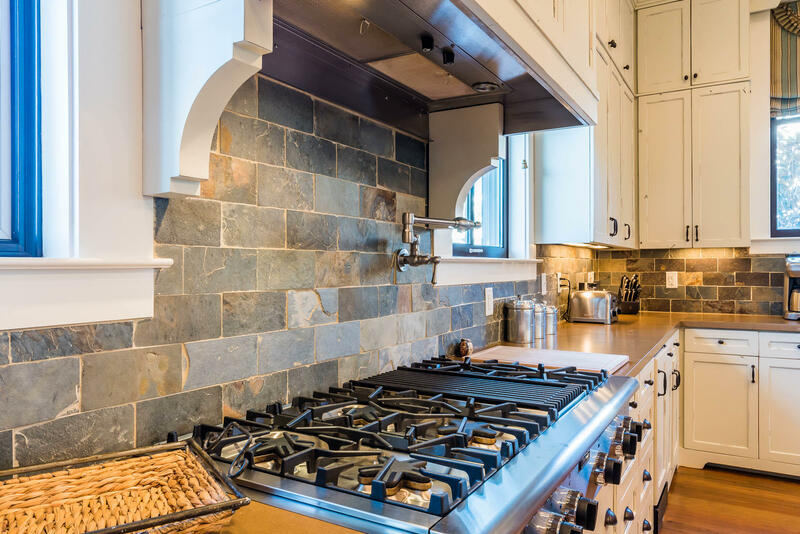 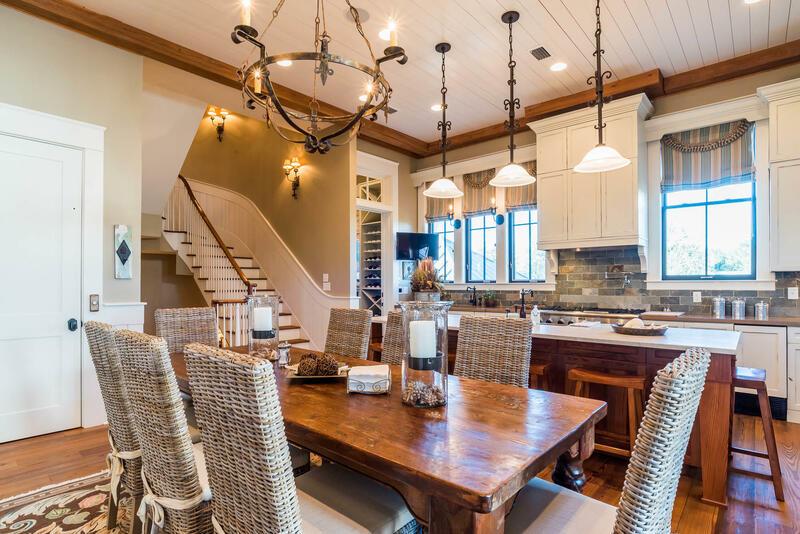 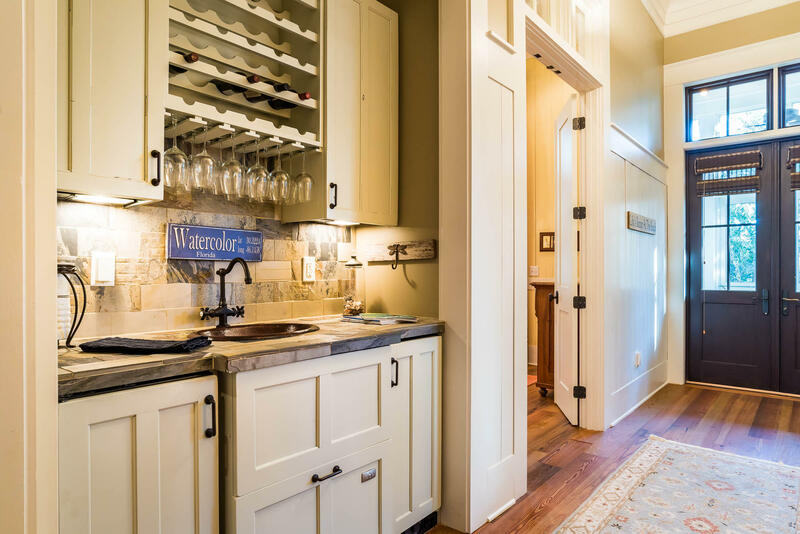 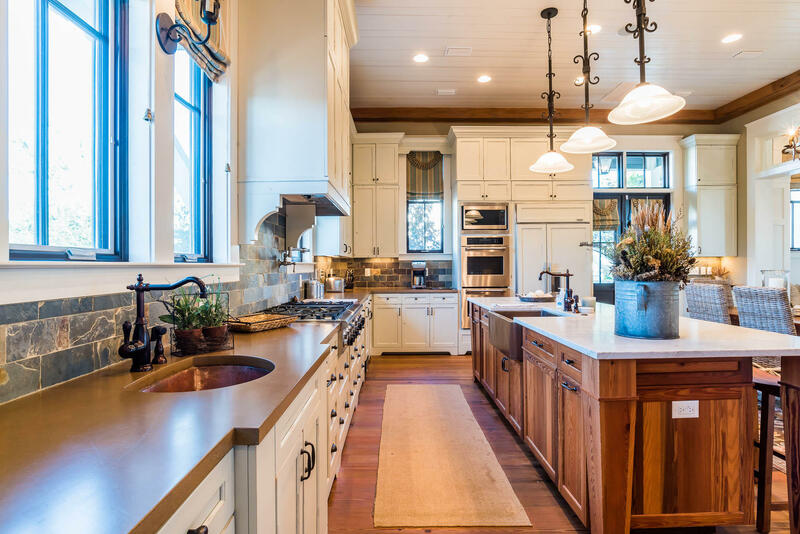 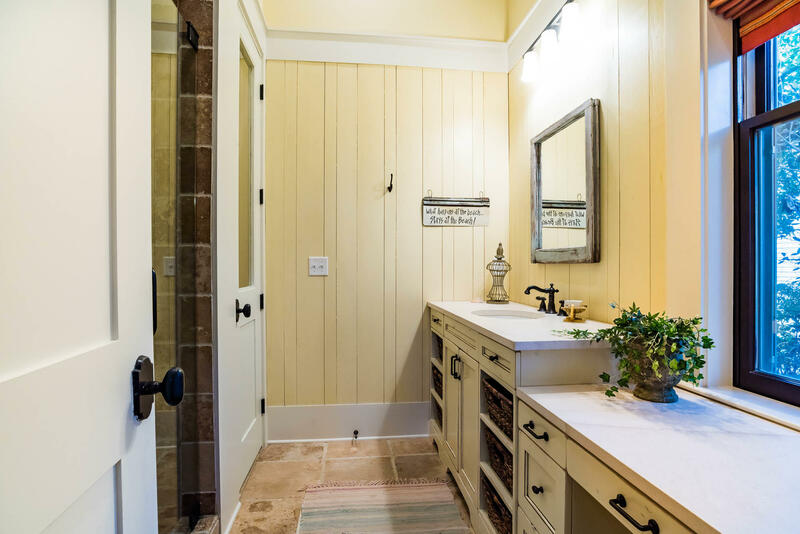 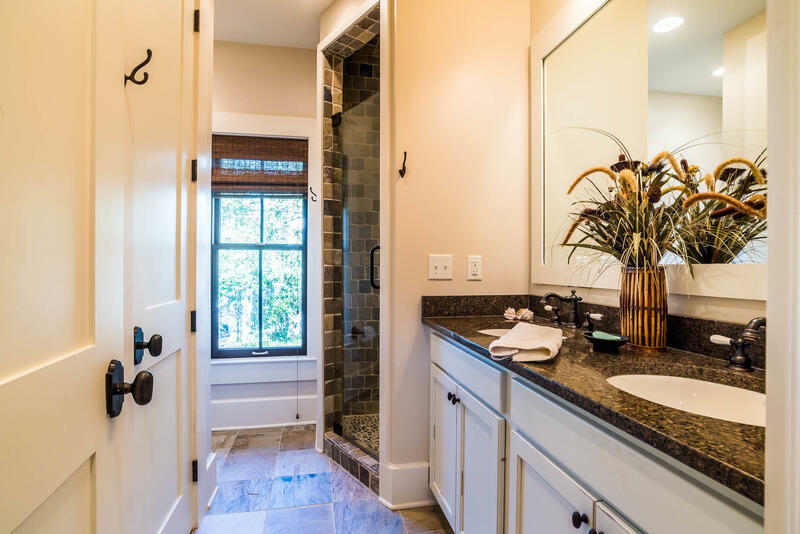 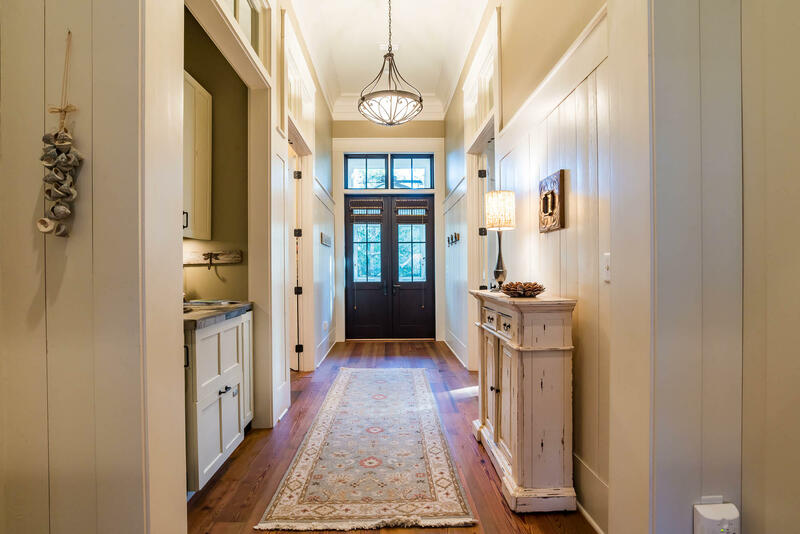 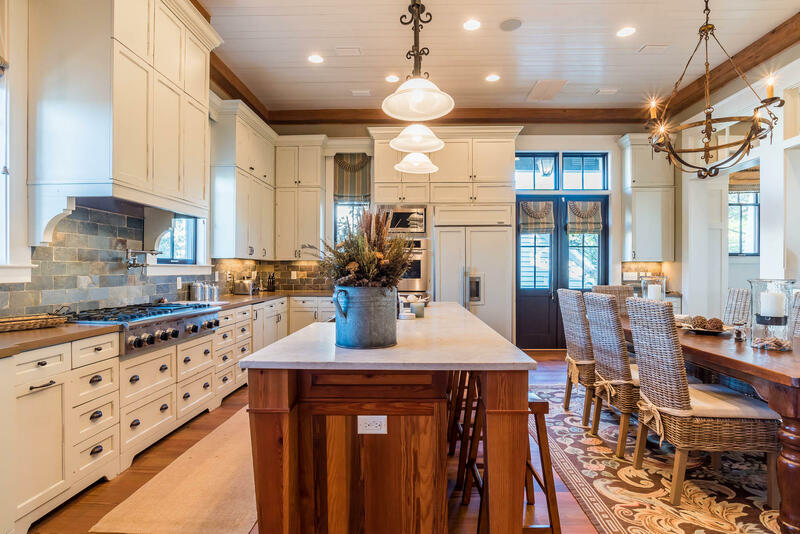 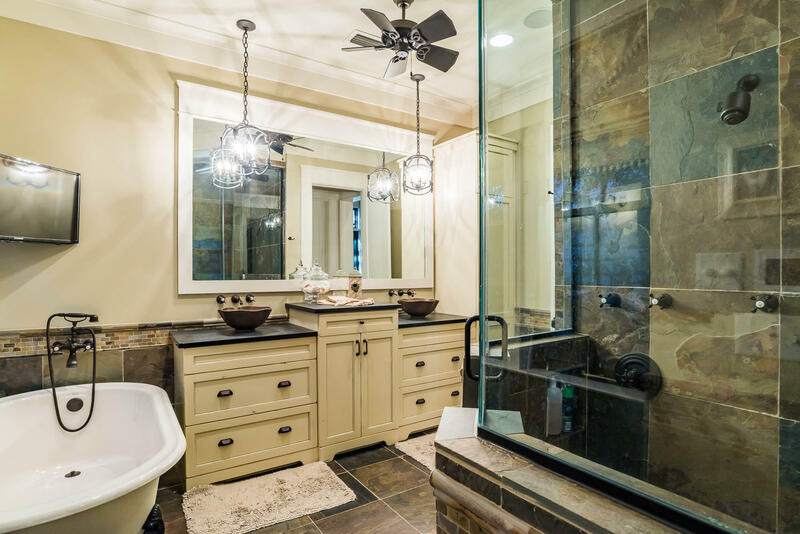 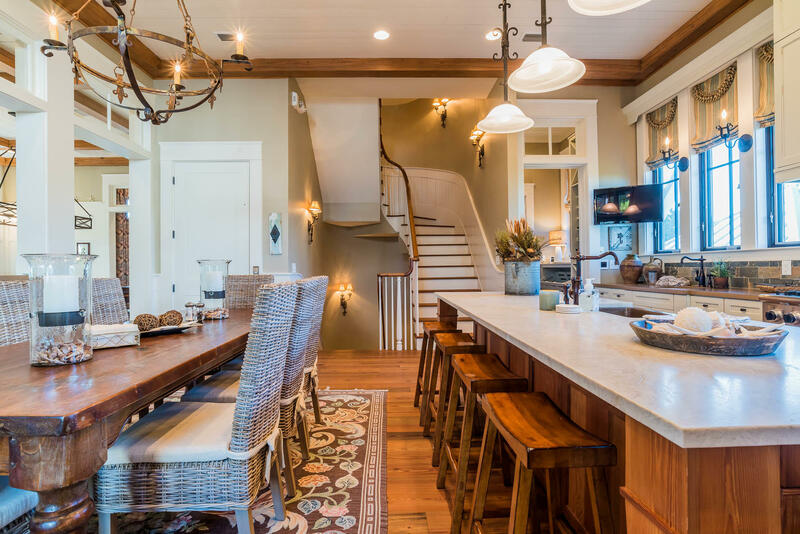 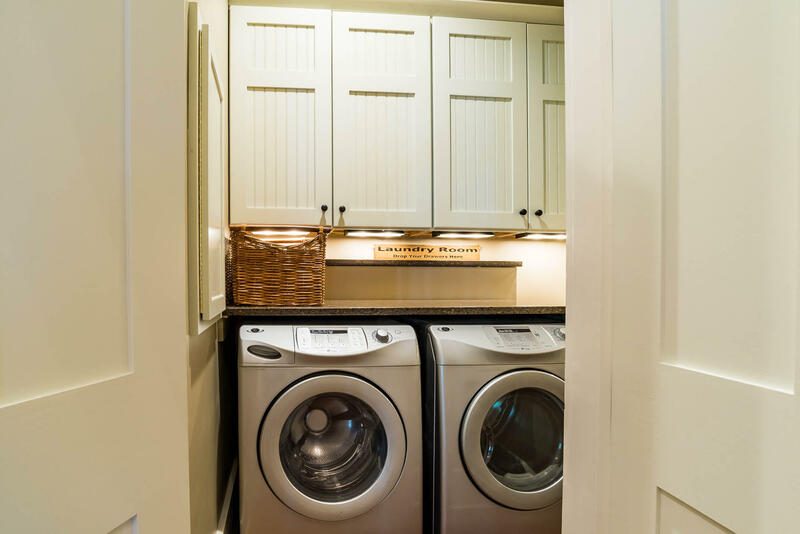 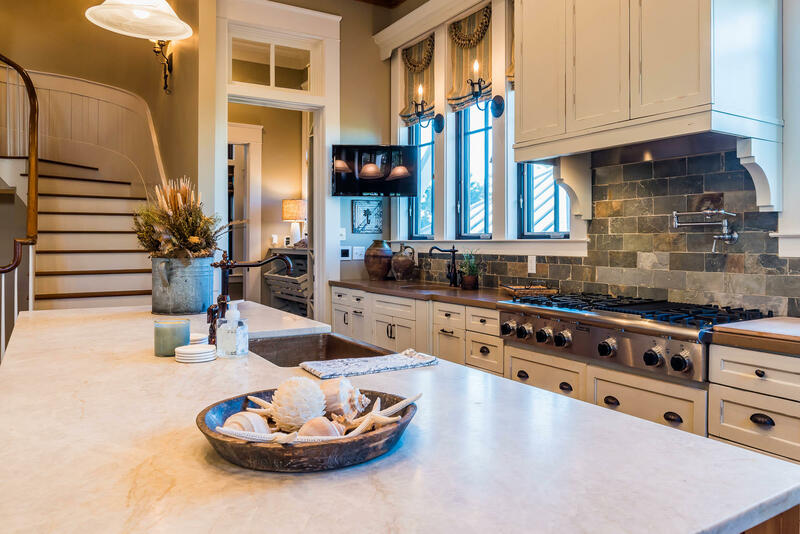 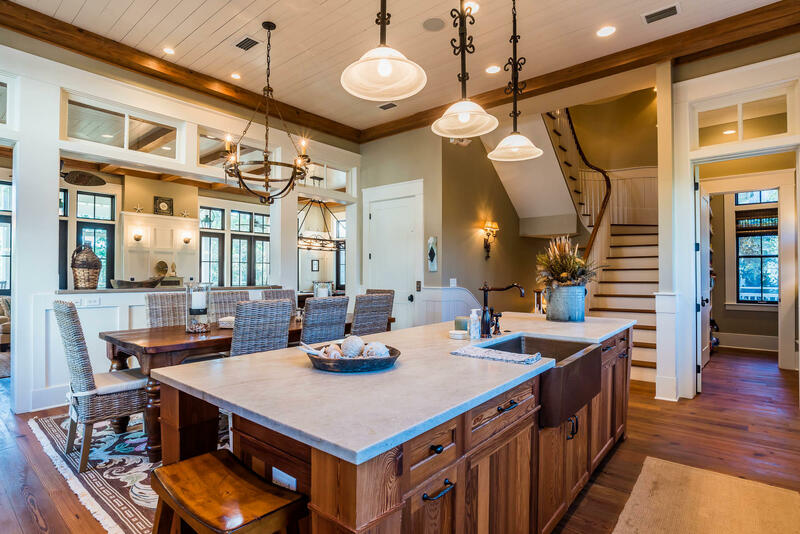 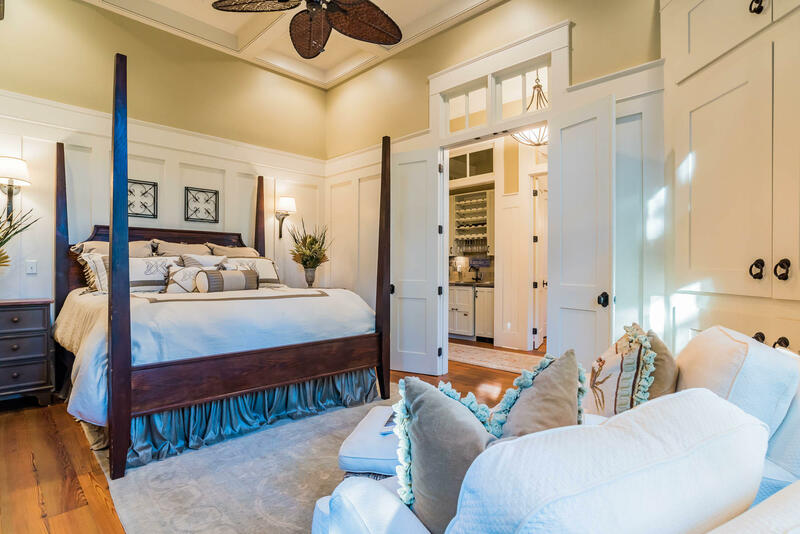 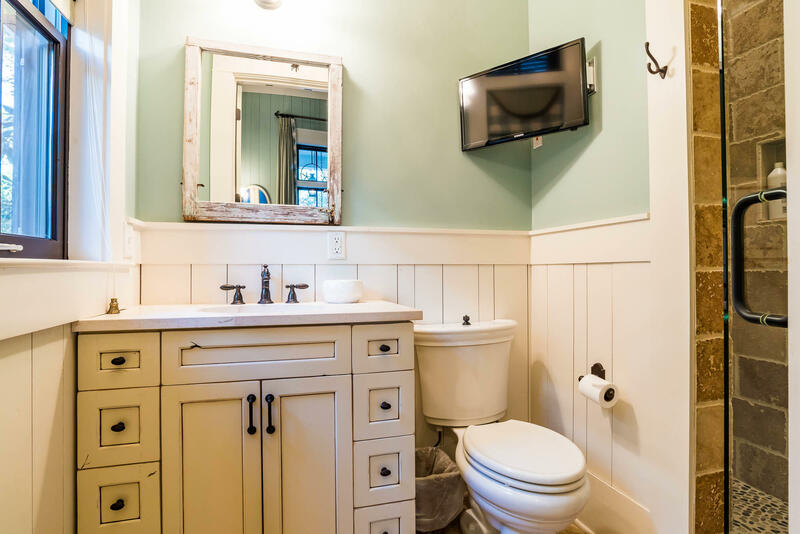 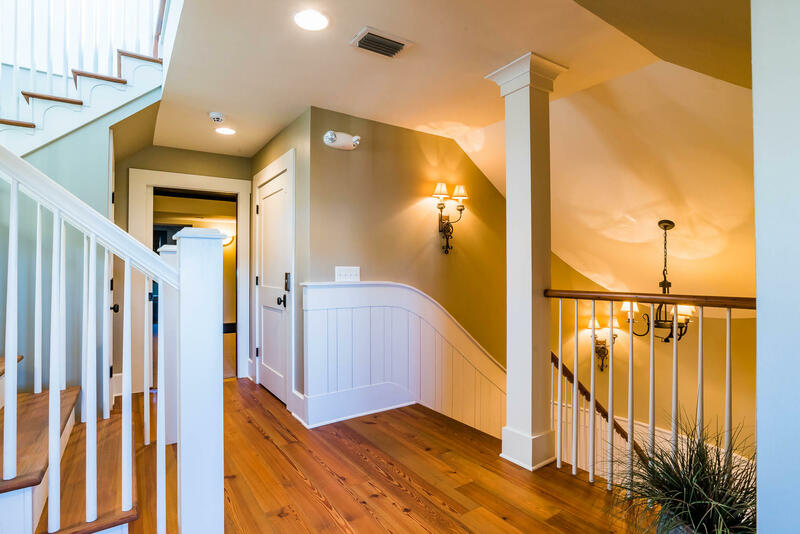 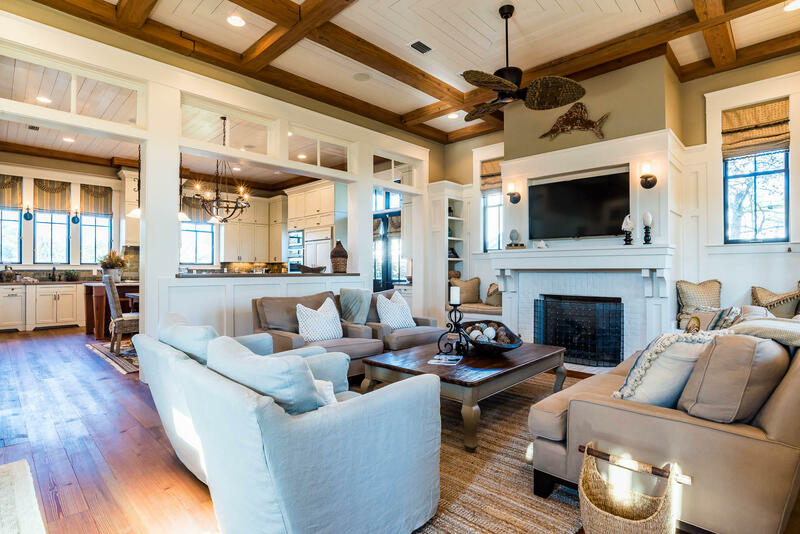 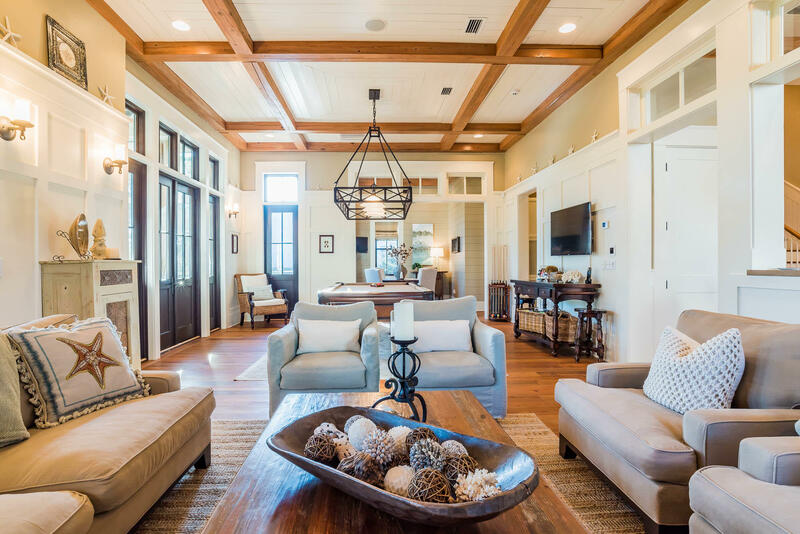 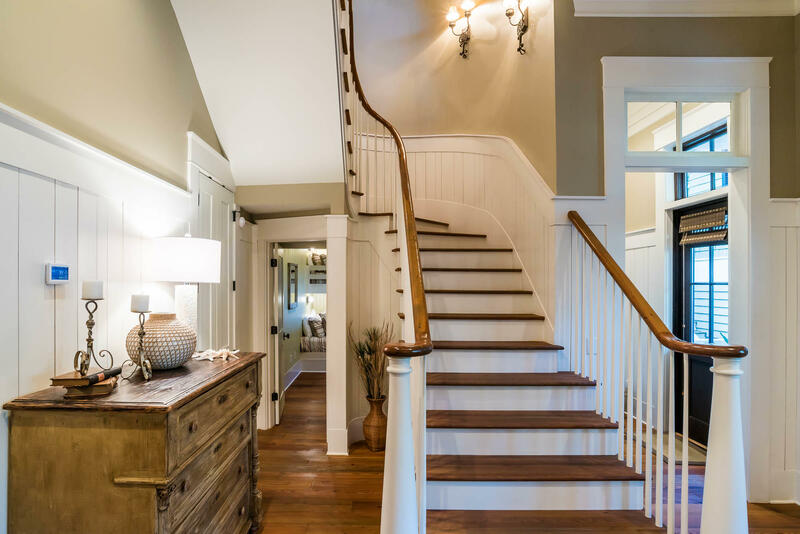 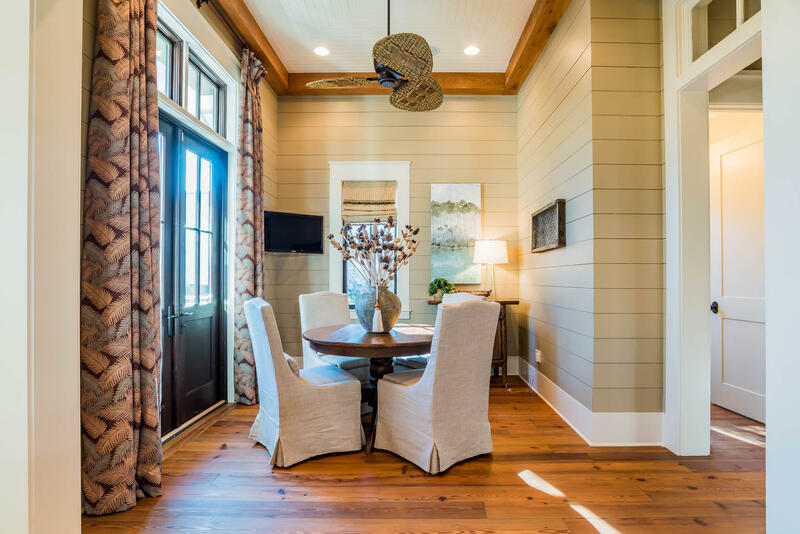 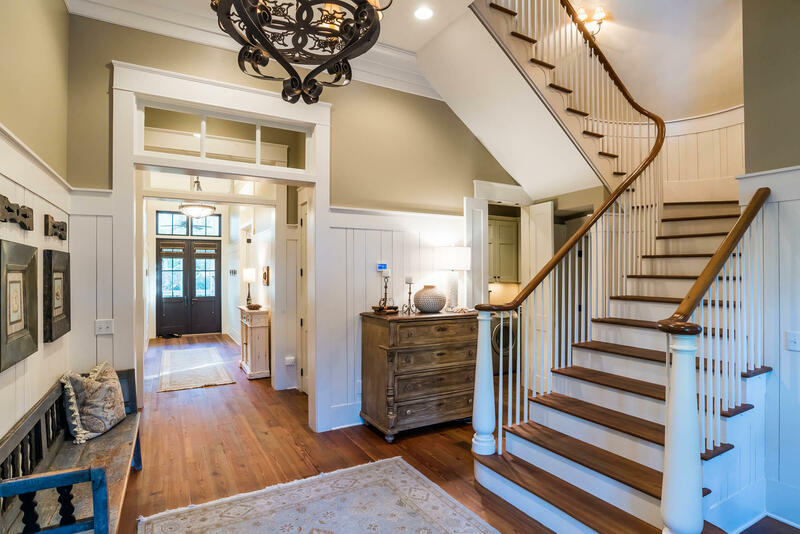 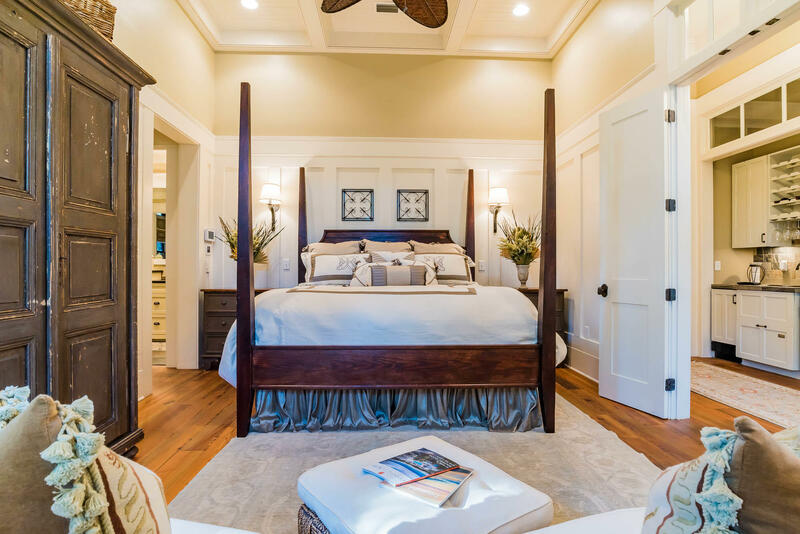 Architectural accents exude charisma including intricate ceiling millwork, master carpenter level trim and molding, 12' and 14' ceilings, and natural stone and concrete counters. 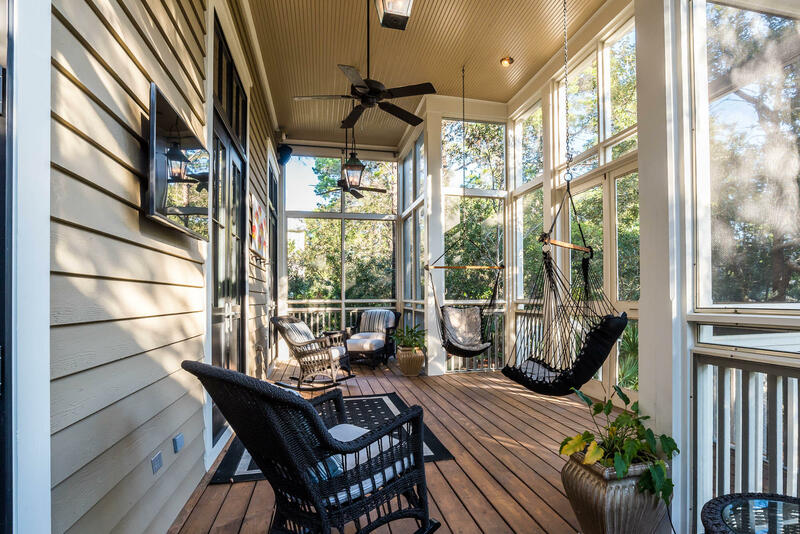 An energy â€“ efficient Geothermal HVAC system eliminates the need for condenser replacement and the interruption of start-up noise. 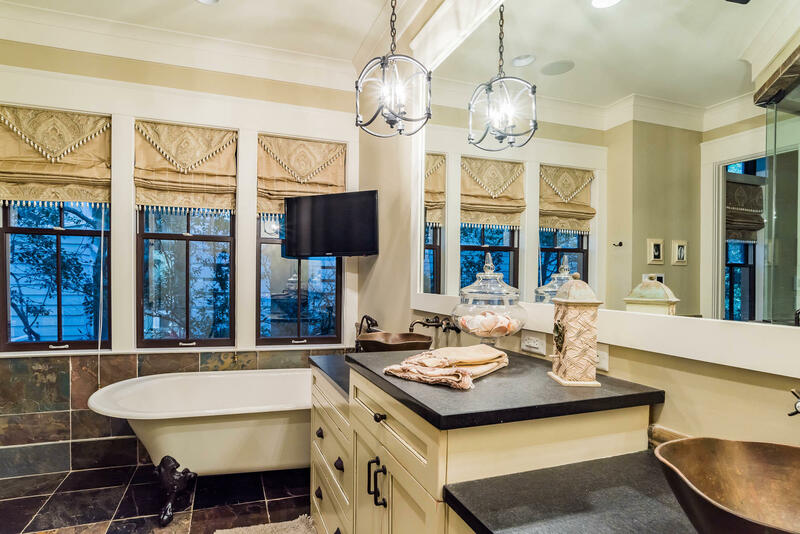 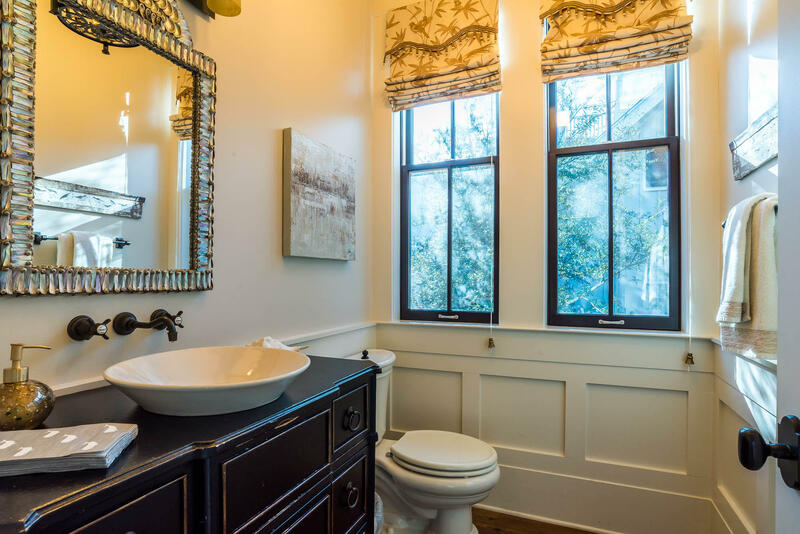 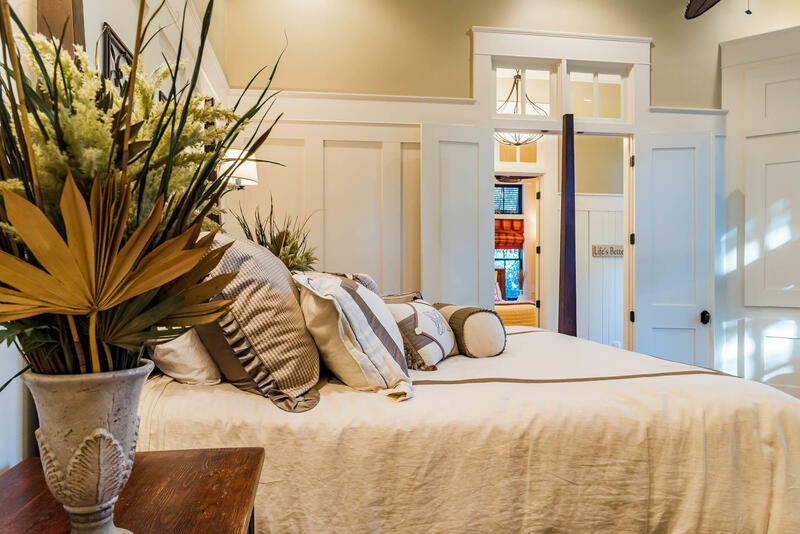 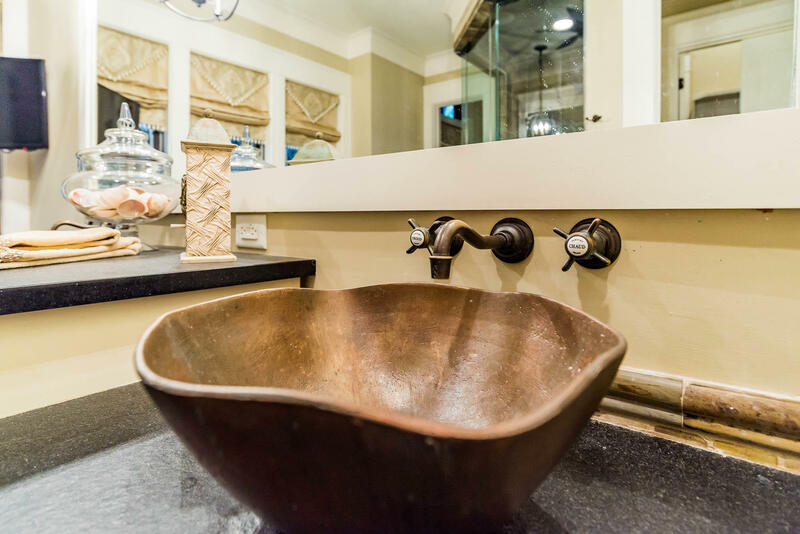 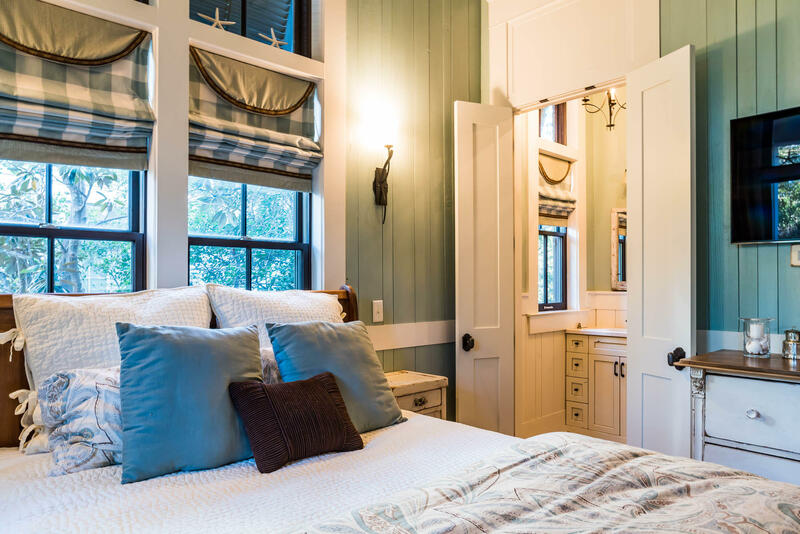 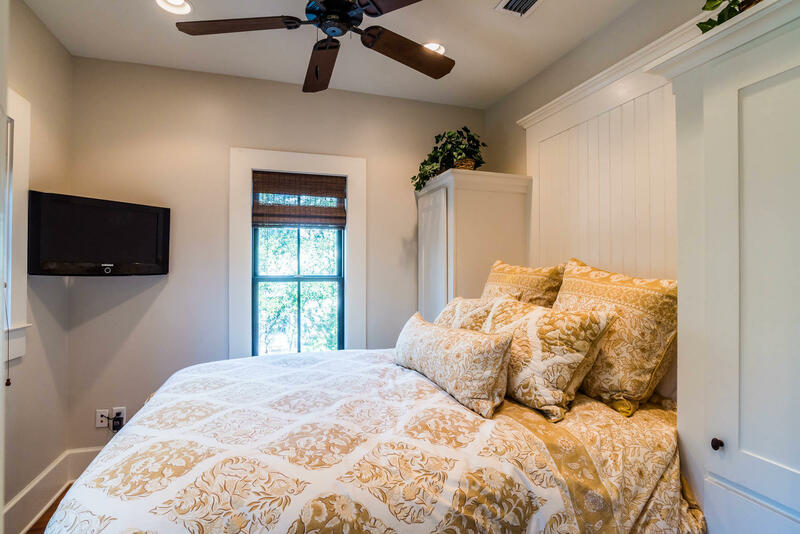 Convenience begins first floor with a luscious master suite including master bath stone flooring and an exterior full-sized claw tub. 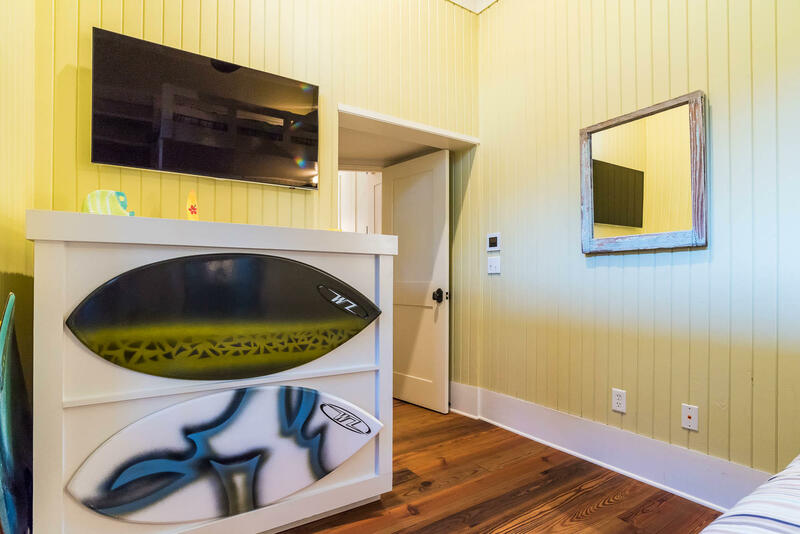 Each of three additional bedrooms, one incorporating bunk beds for four campers, includes a private bath in an en suite configuration. 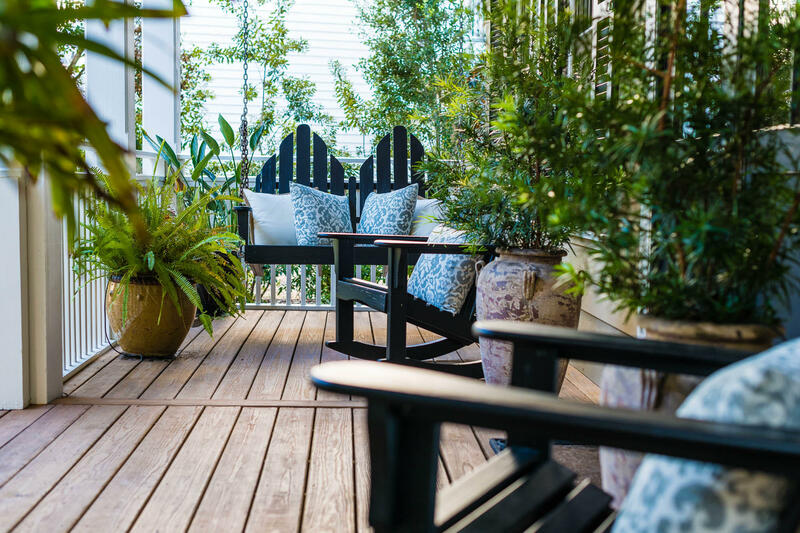 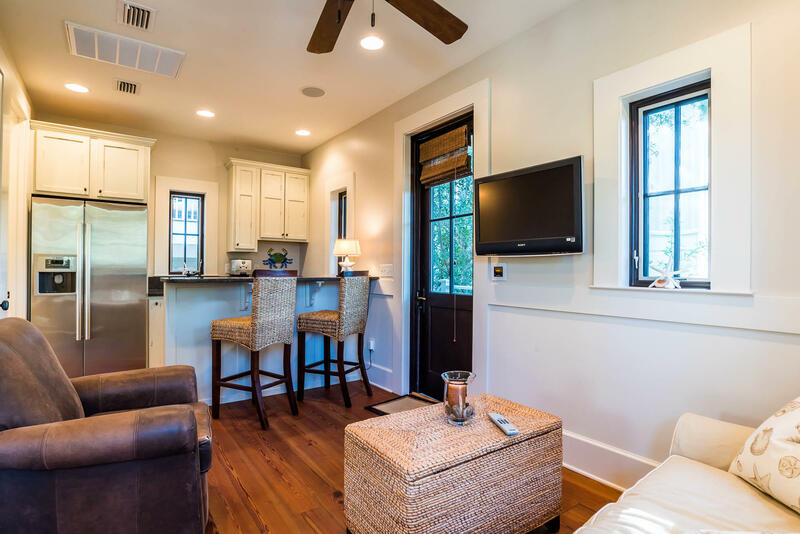 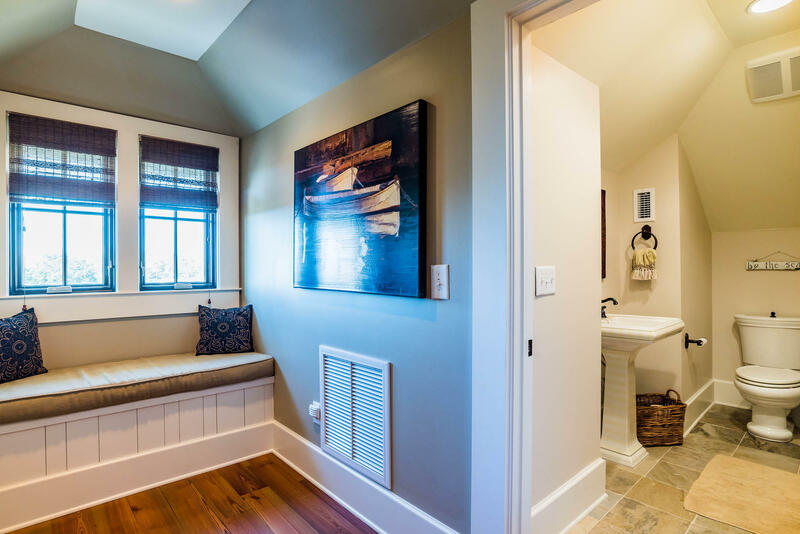 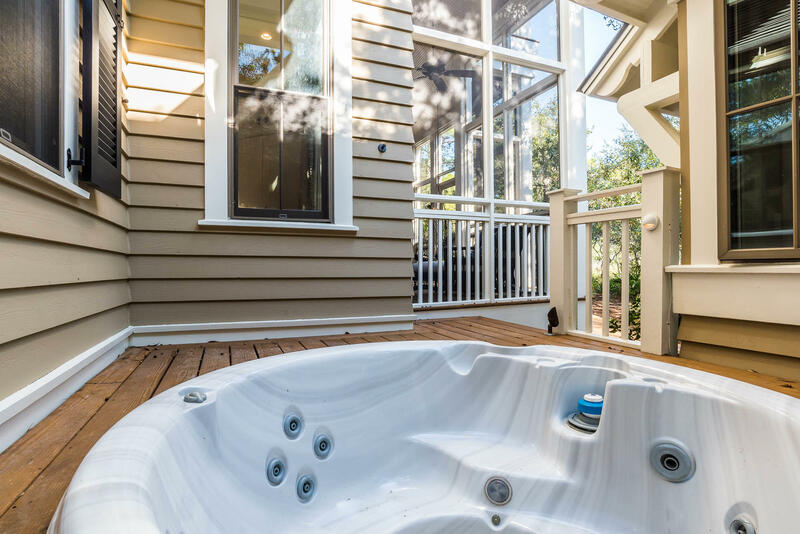 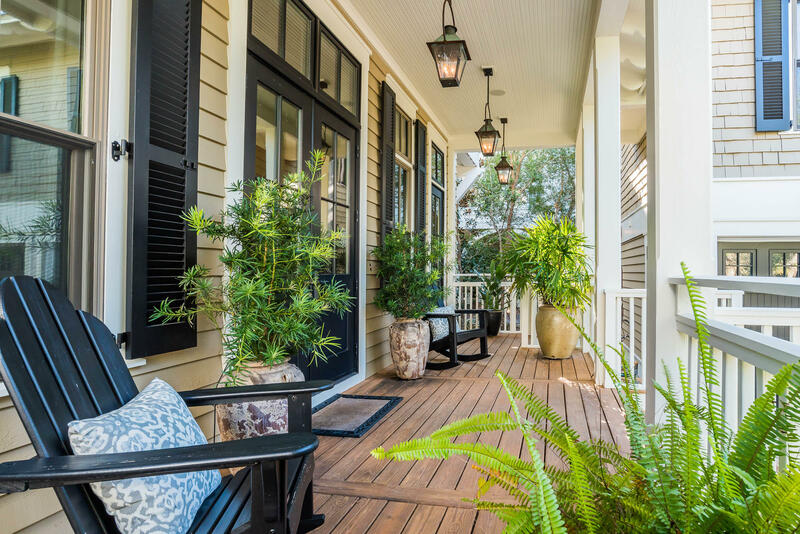 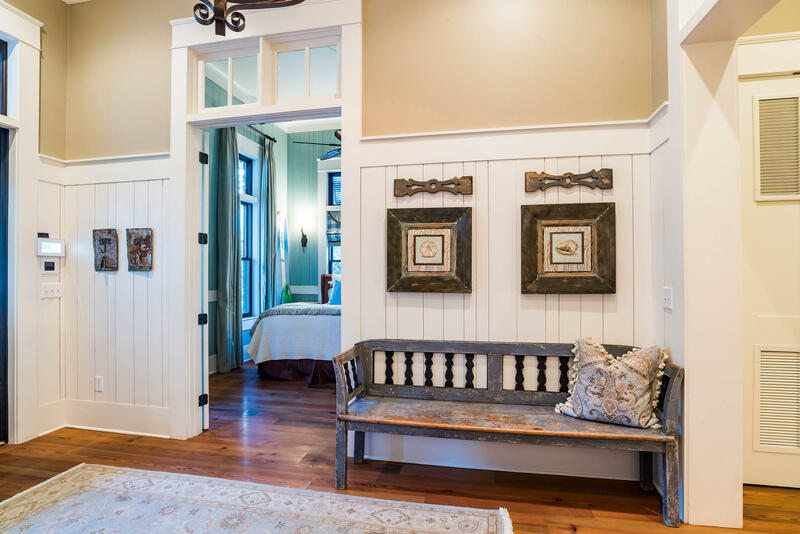 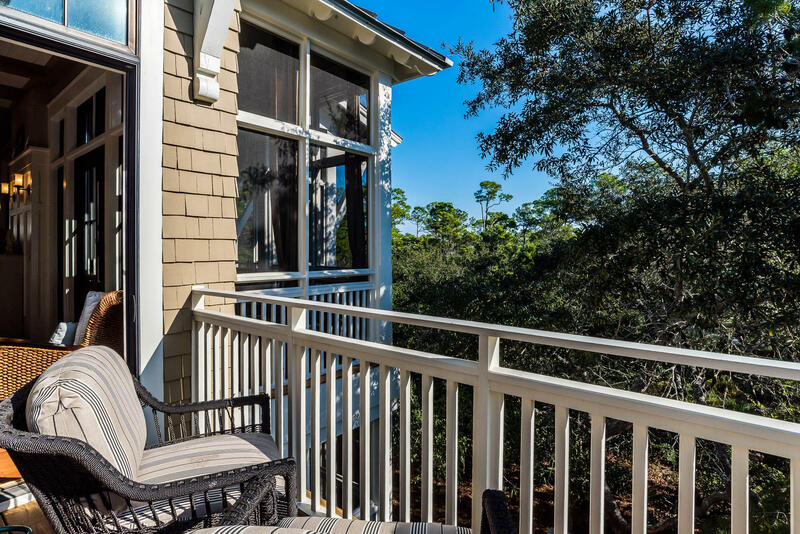 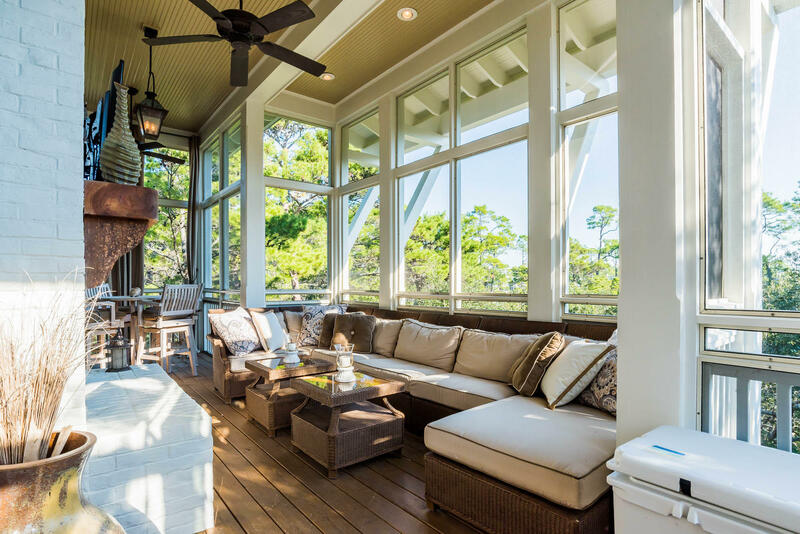 A private sitting area and screened porch ensure guests ultimate comfort. 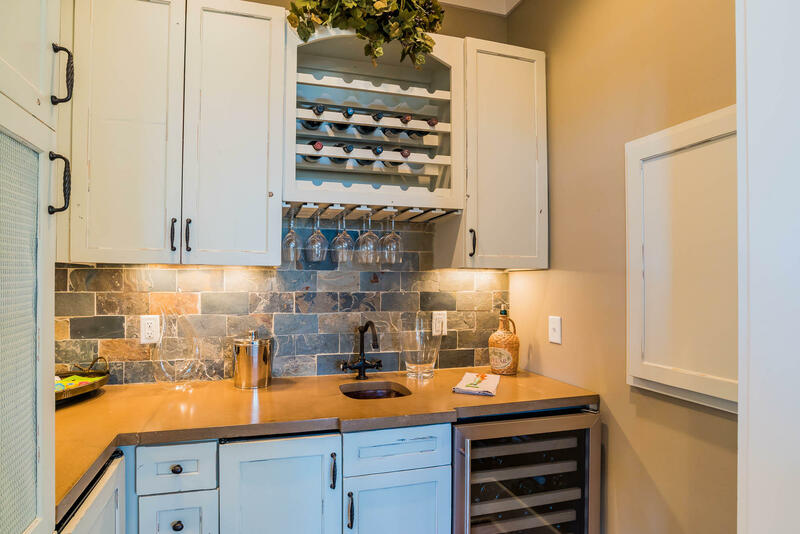 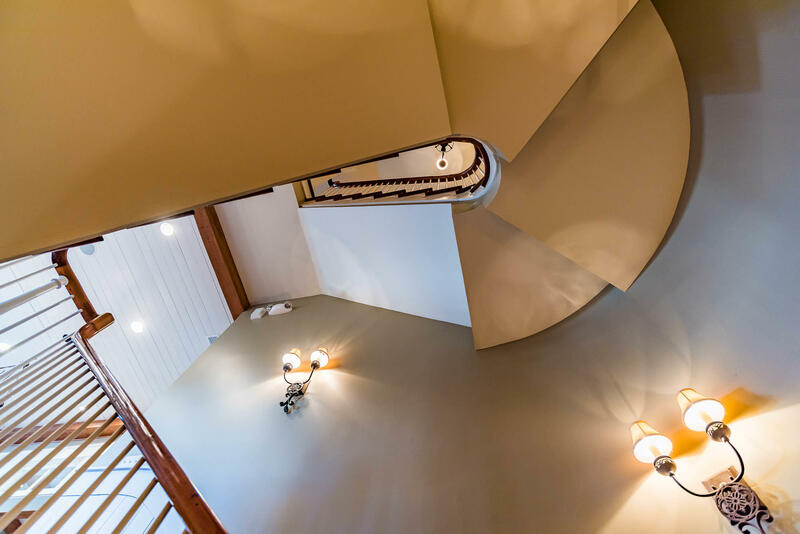 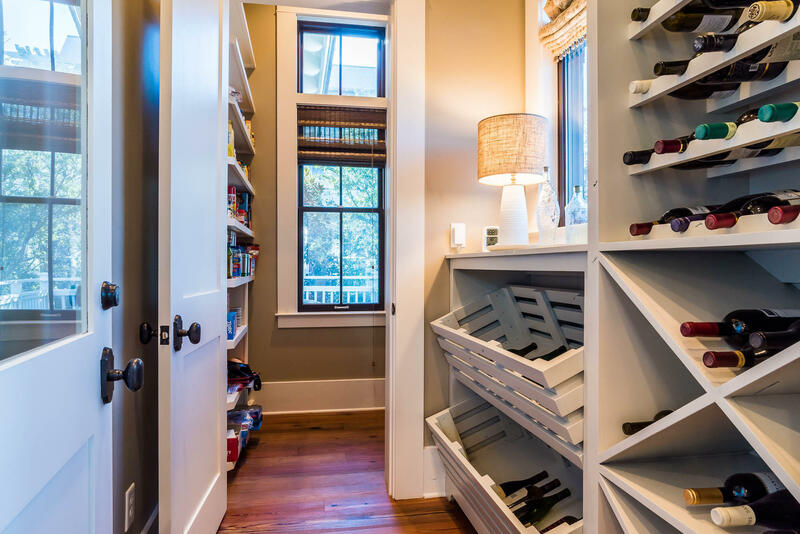 Take the elevator or the stairs to second floor living that is designed for gathering with a large kitchen complete with Thermador and Subzero appliances and full-sized pantry with wine storage. 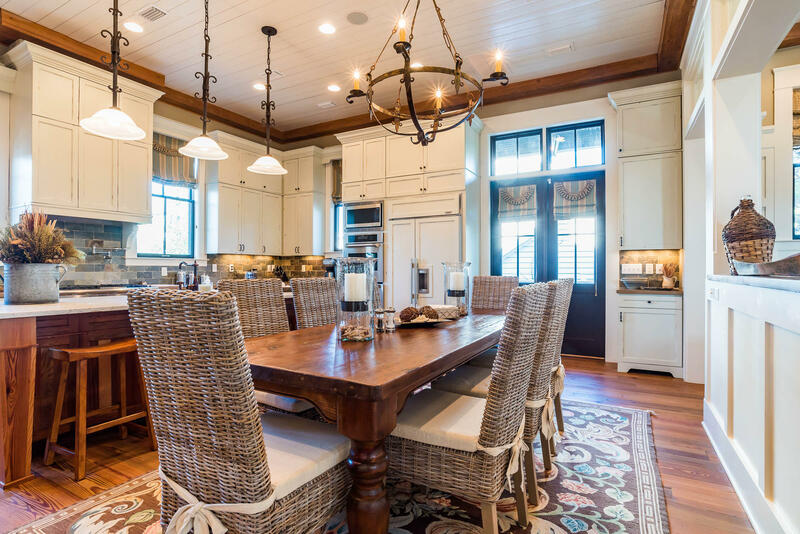 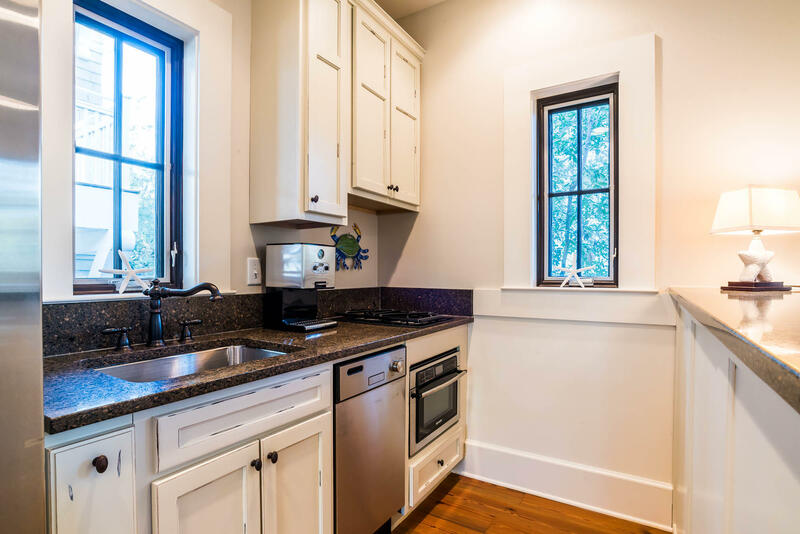 Dining is either in a cozy, sunny alcove for four or overlooking living at a table for eight. 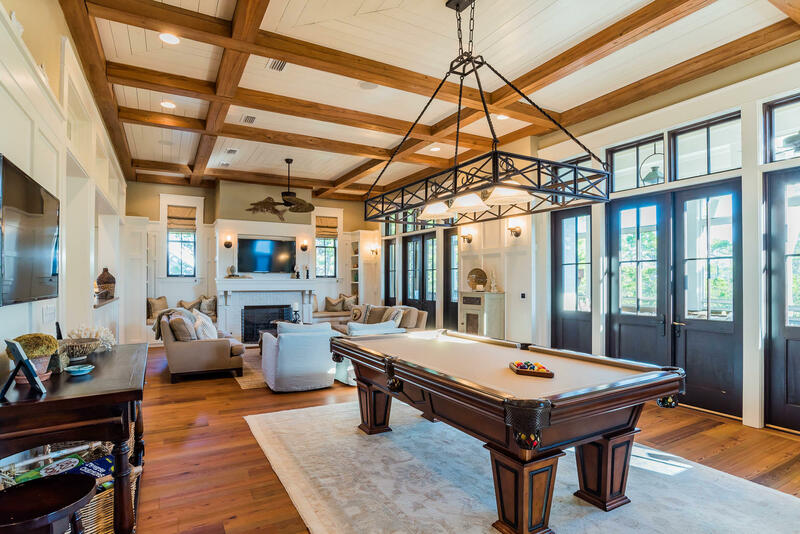 Get-togethers tend to flow from relaxed seating, fireside to the full-sized pool table serviced by its own wet bar with wine fridge. 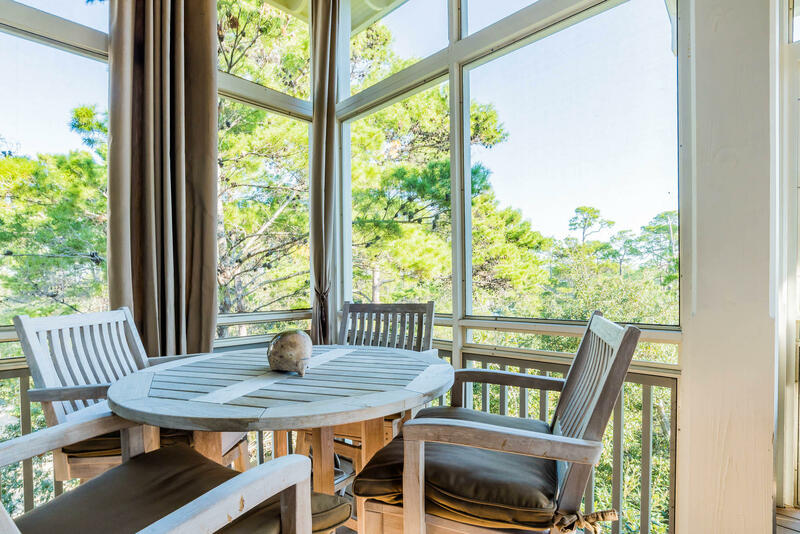 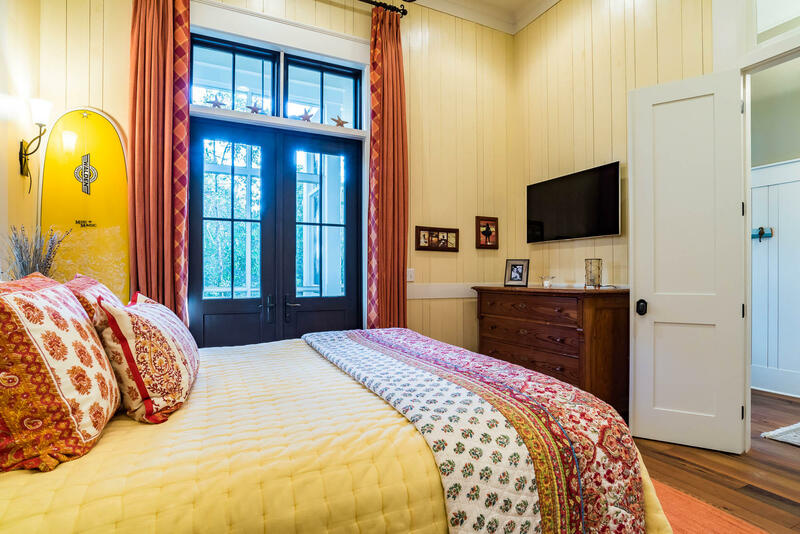 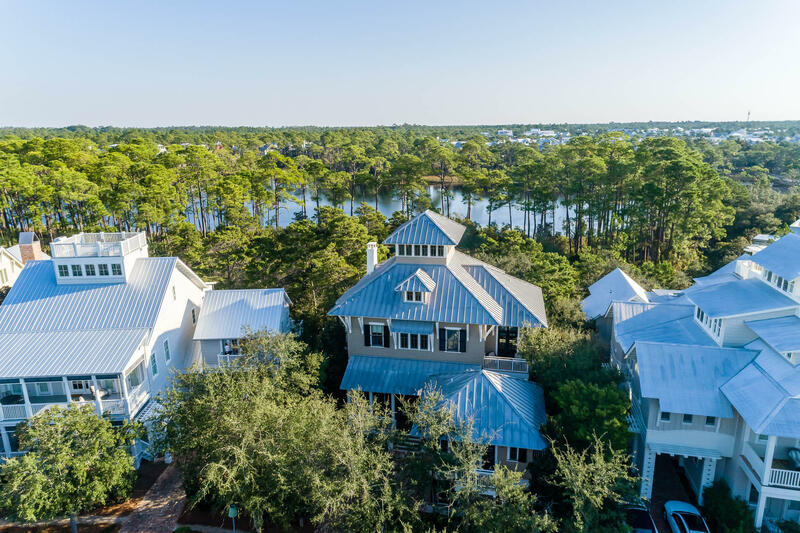 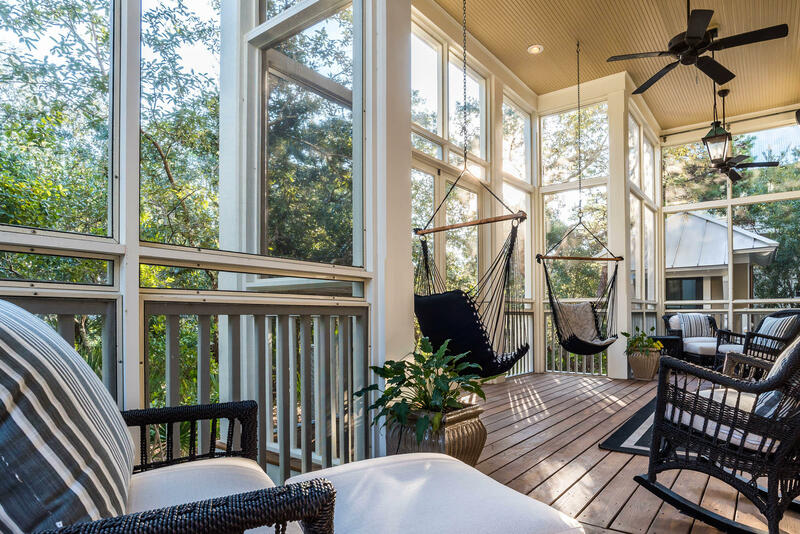 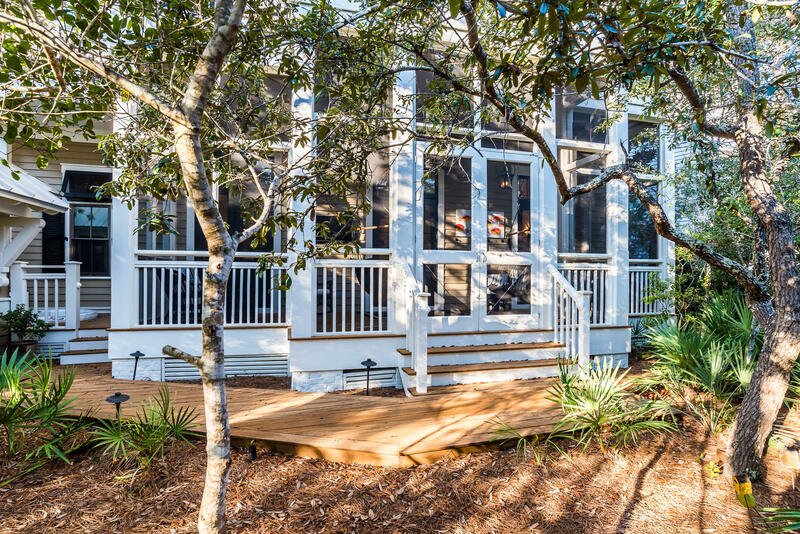 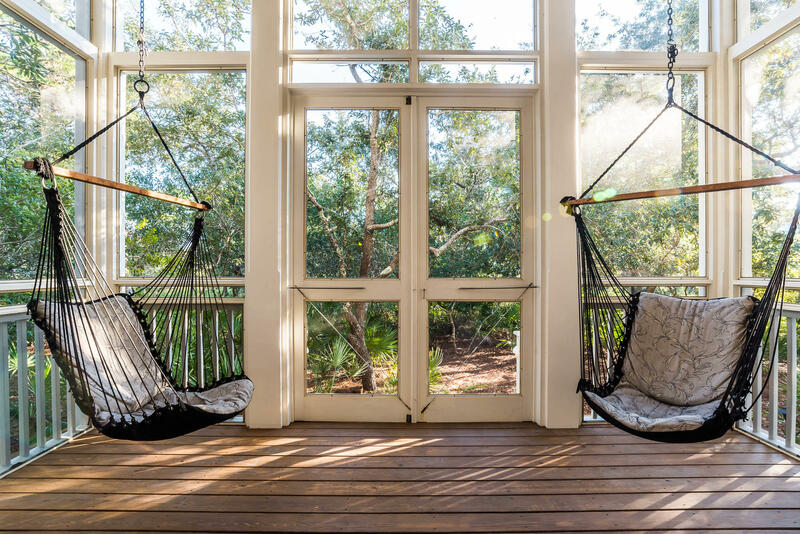 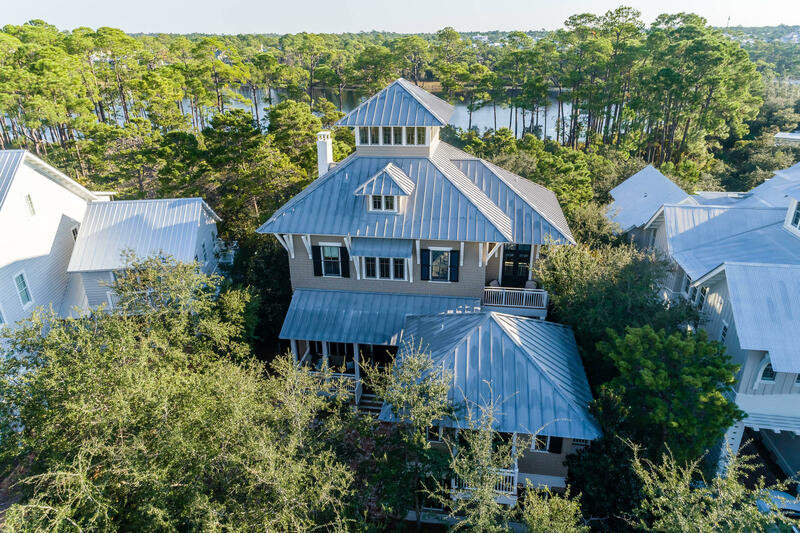 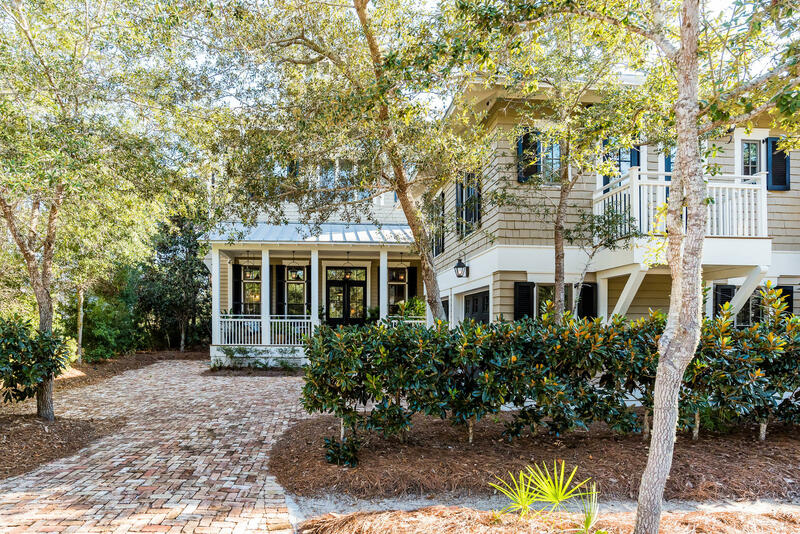 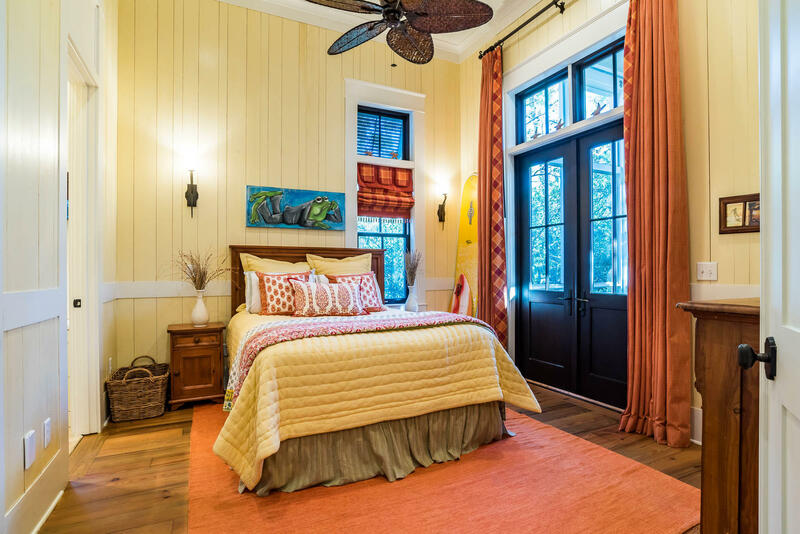 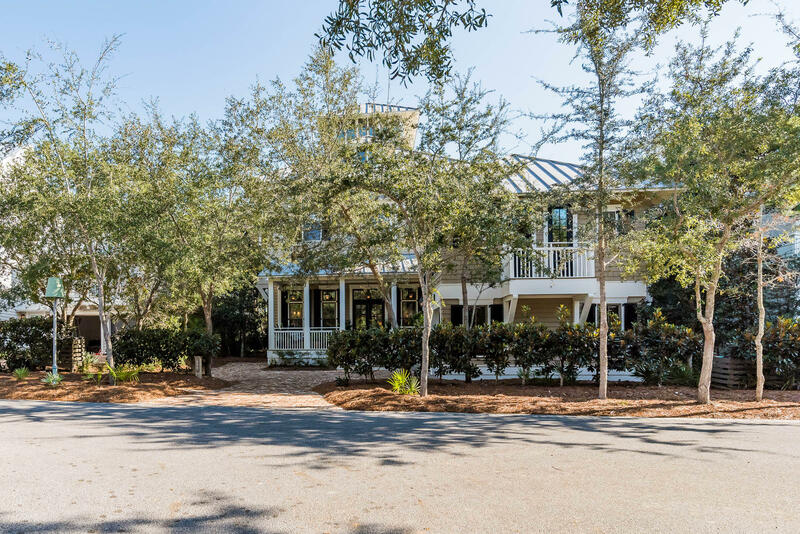 Wind-downs lead straight to the airy screened porch with lake views and its own gas fireplace. 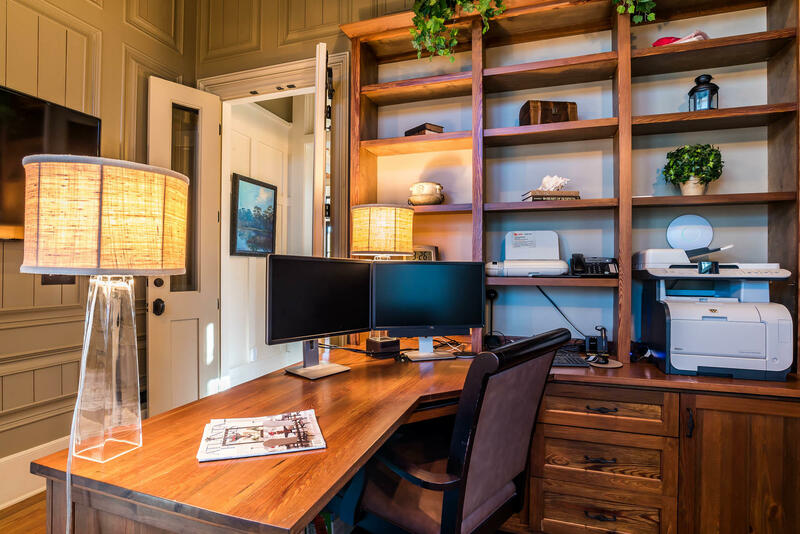 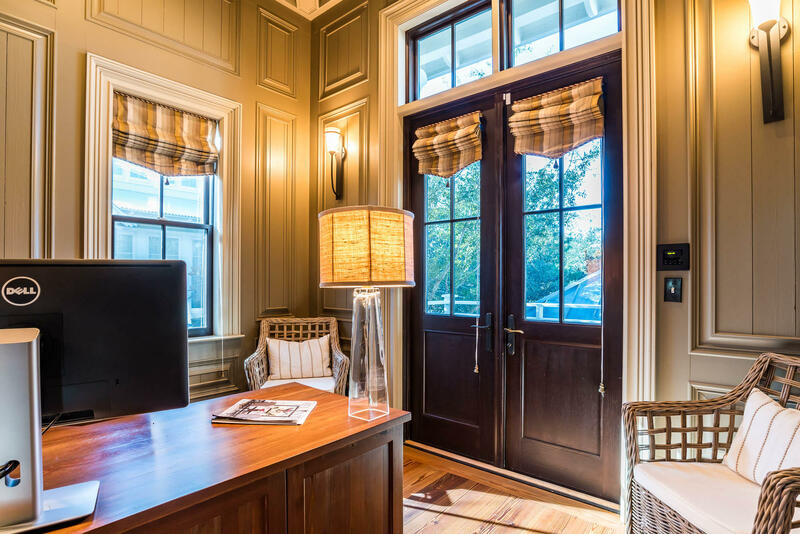 The 2nd floor office is all business with a built-in desk and bookcases and its own commanding, wooded view from a private balcony. 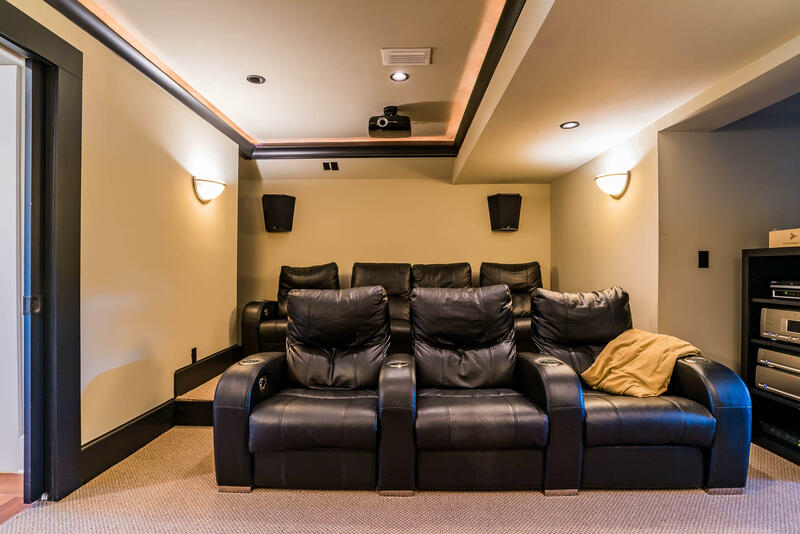 Movie night is just around the corner in the private media viewing room on the 3rd floor. 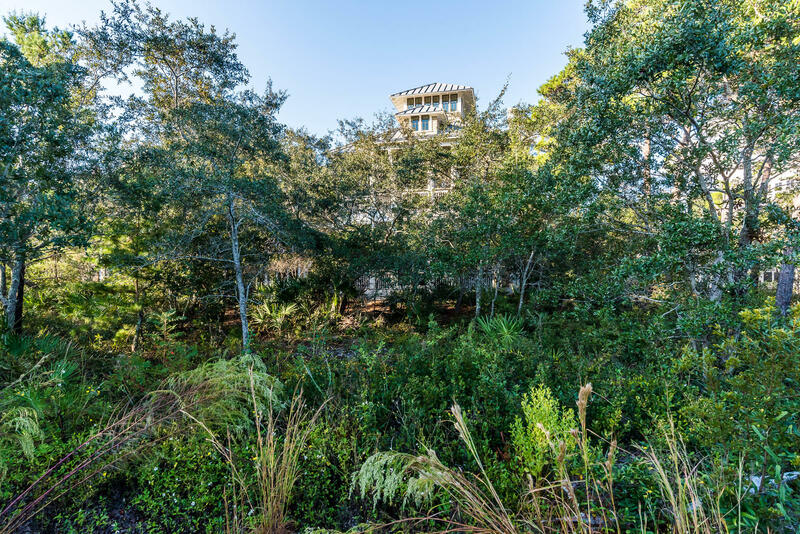 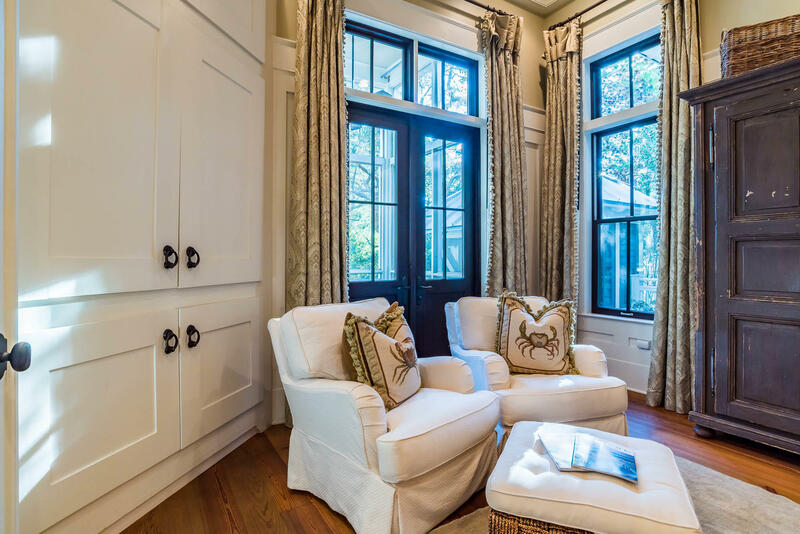 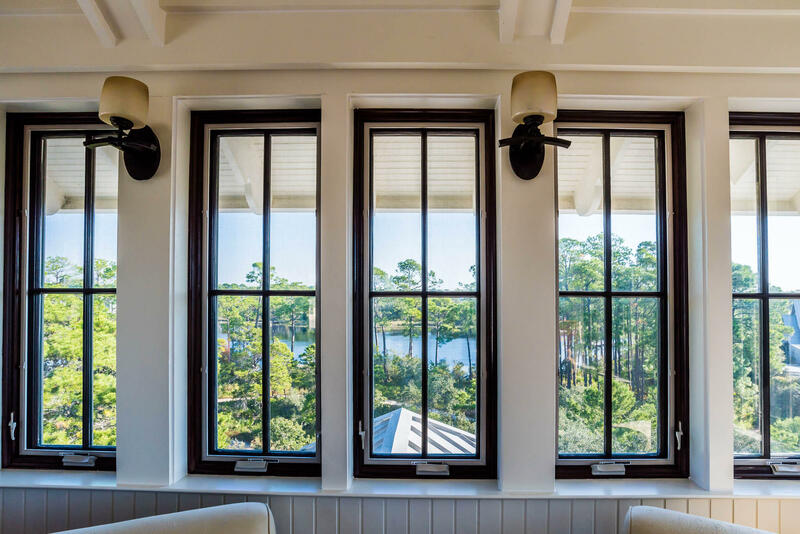 A fourth-floor light filled sitting/reading/work room overlooks enchanting Western Lake and entertaining Seaside. 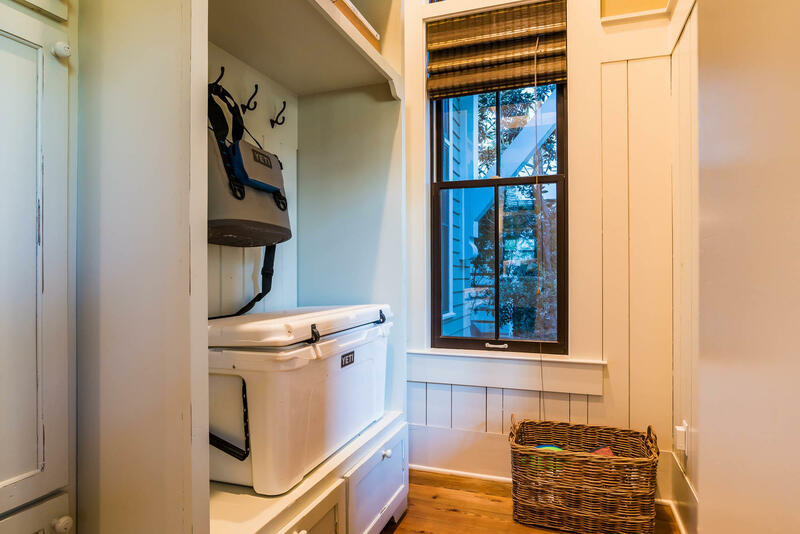 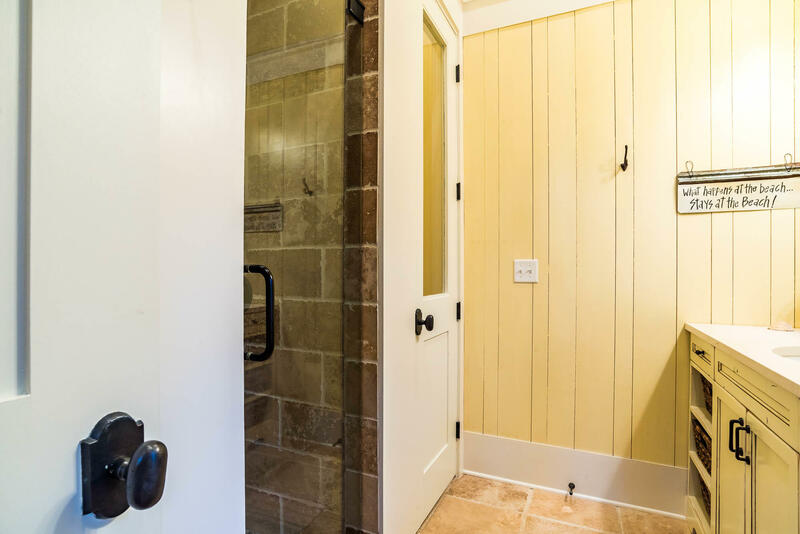 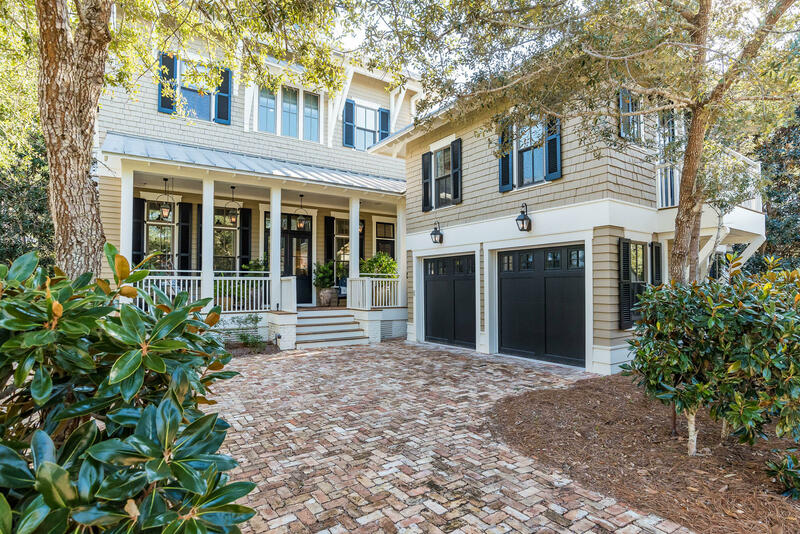 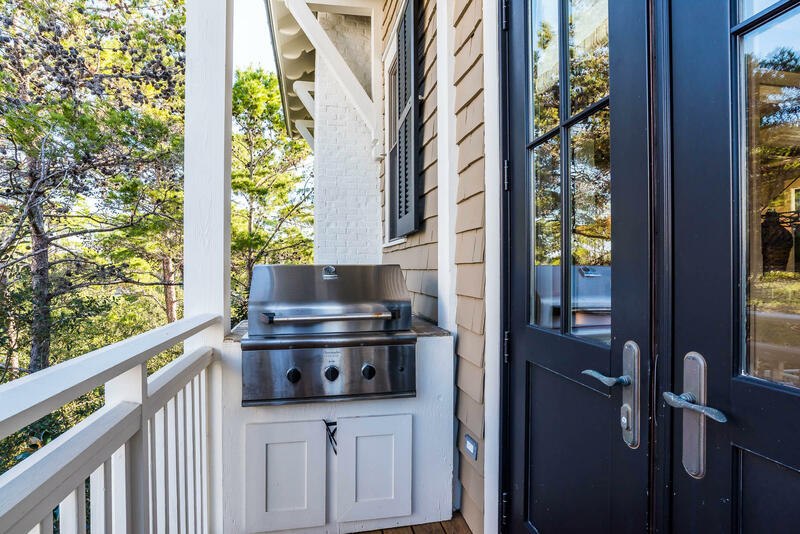 A separate carriage house over a two-car garage includes its own kitchen and sleeping/sitting area and a very private, porch with views all its own. 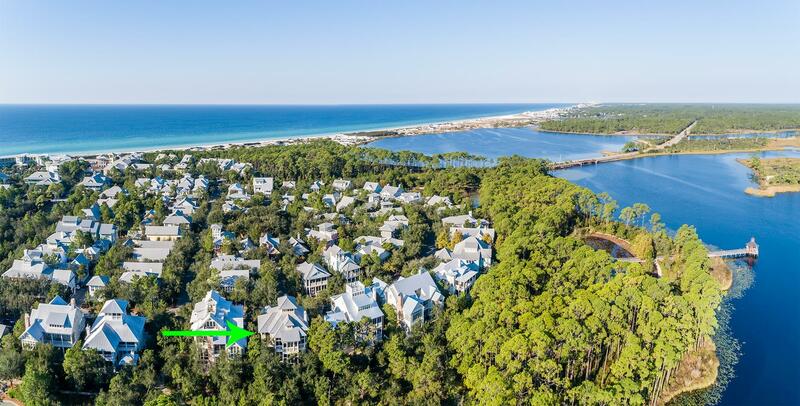 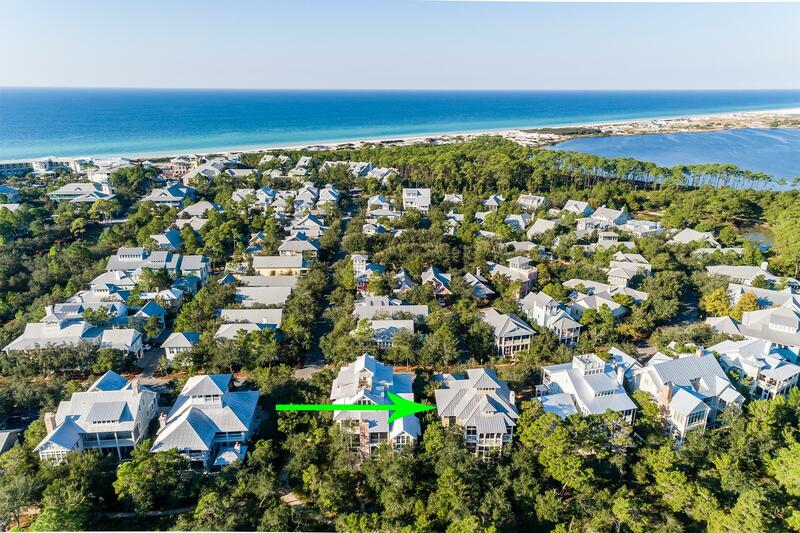 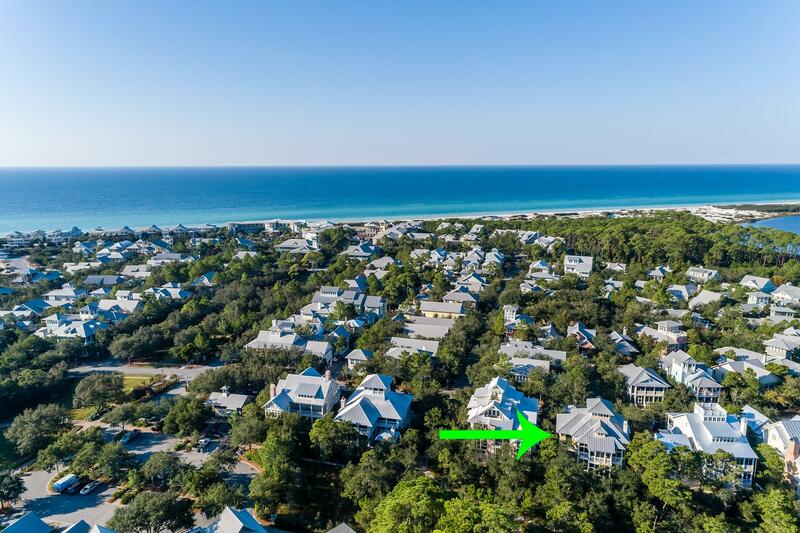 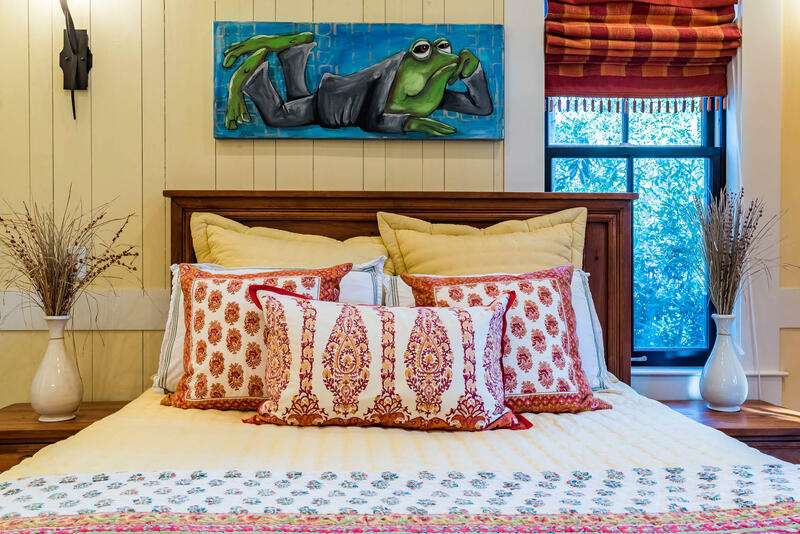 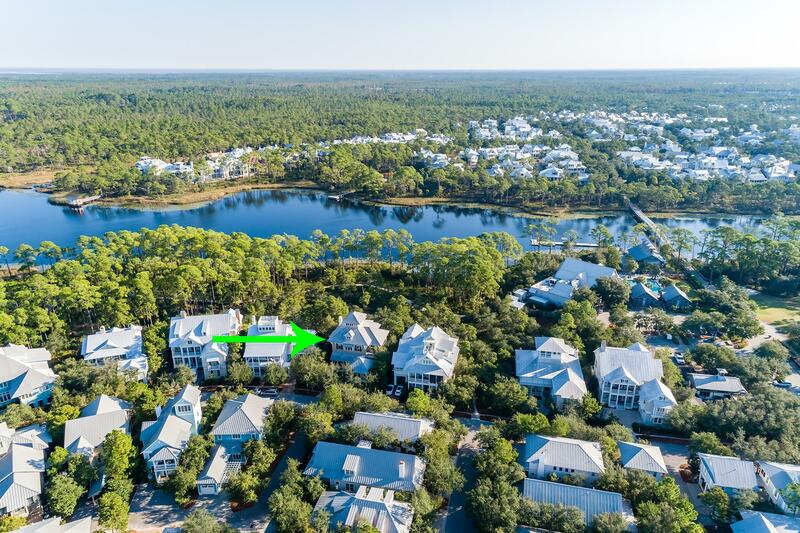 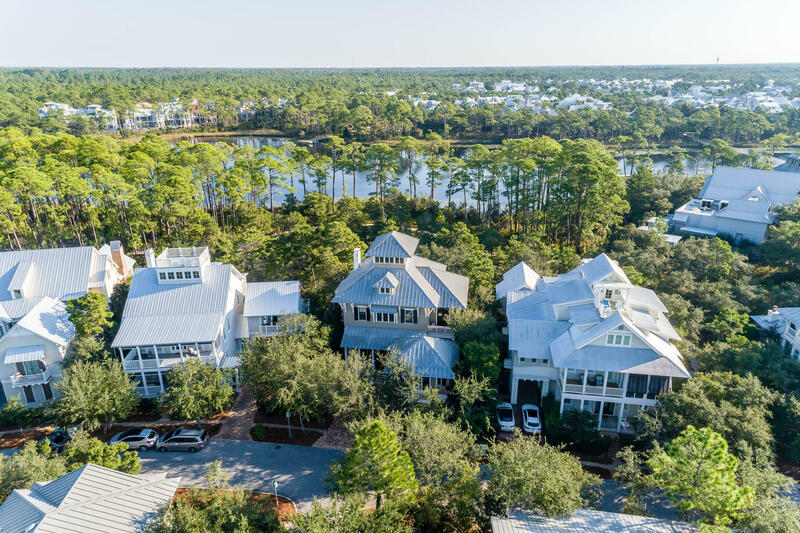 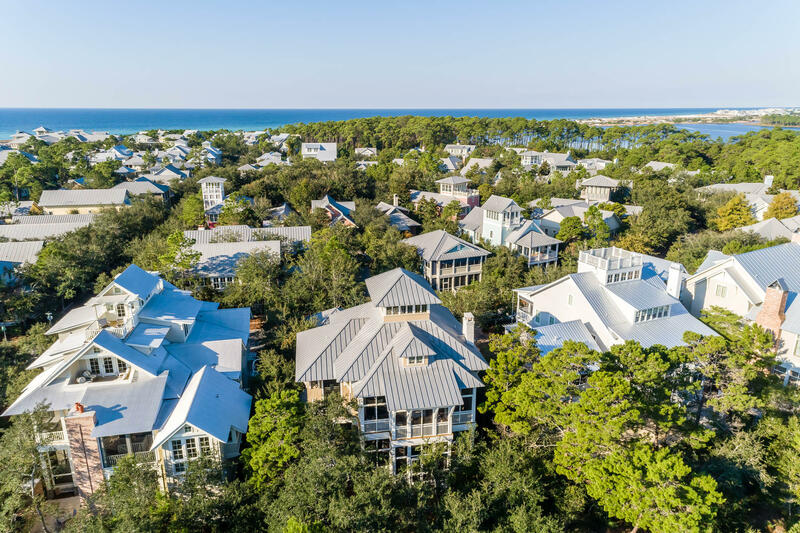 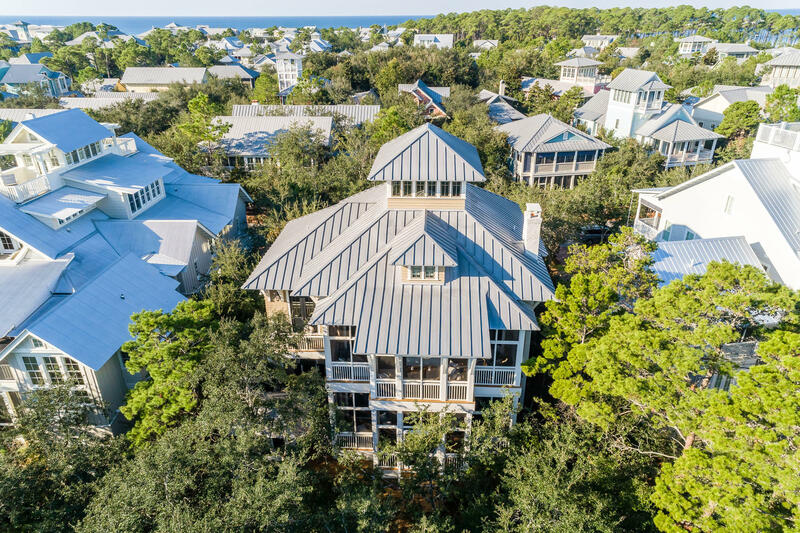 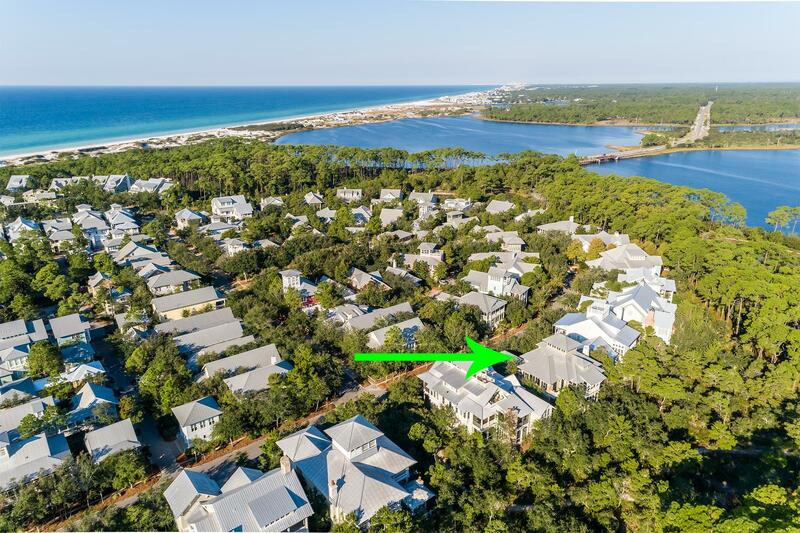 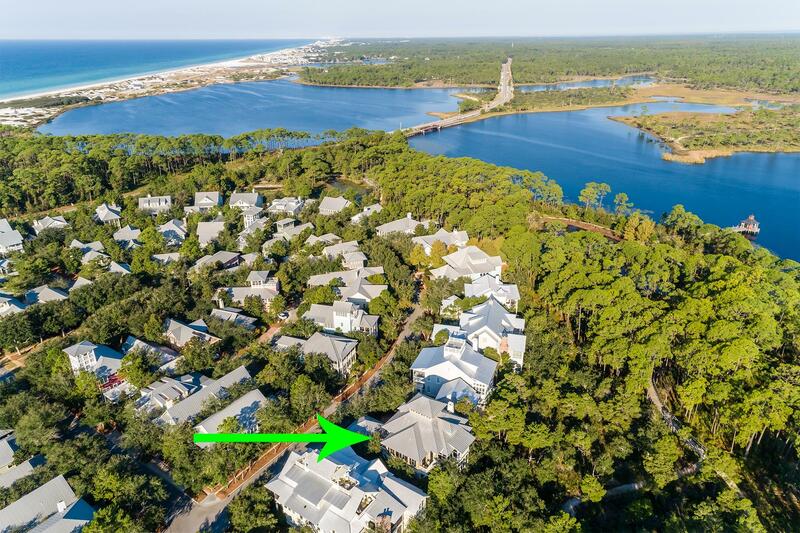 Designer furnishings remain for a move-in ready experience in this ideally located home within walking distance to dining, shopping, and beach club in one-of-a-kind Watercolor.